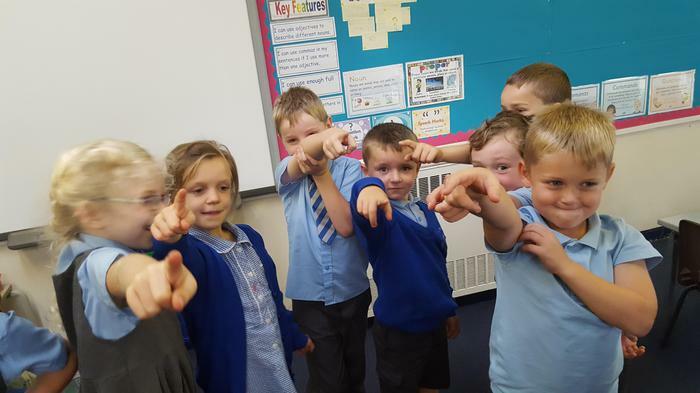 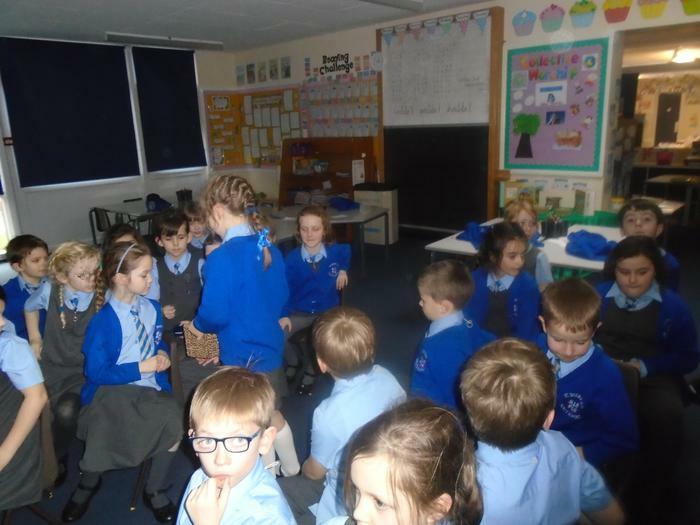 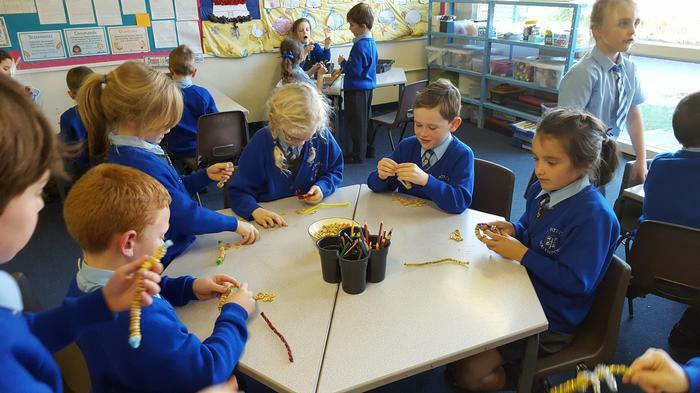 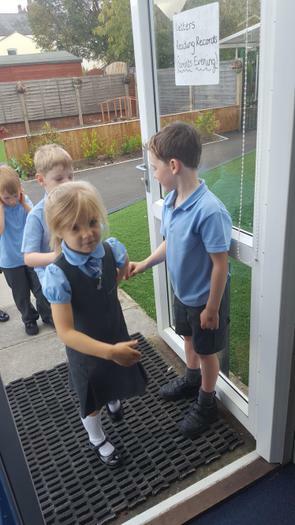 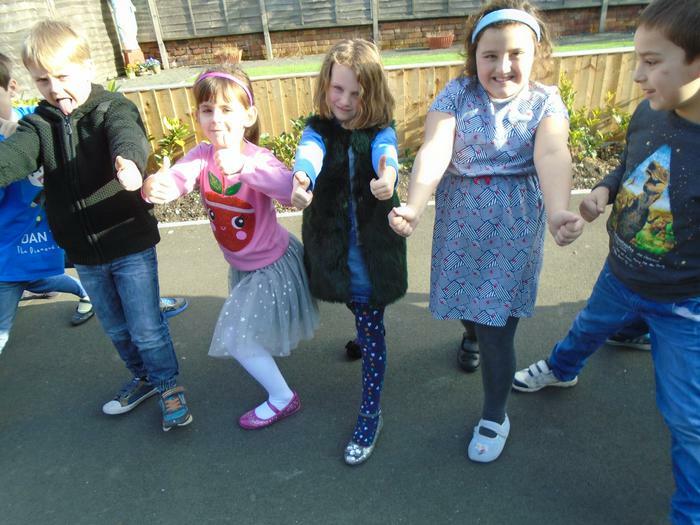 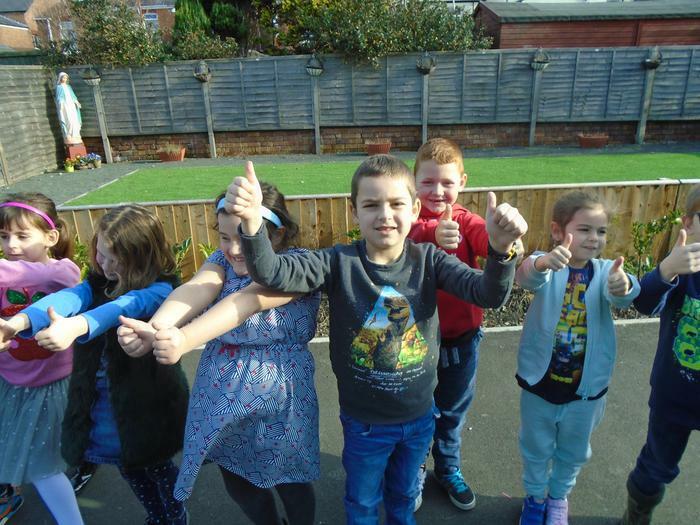 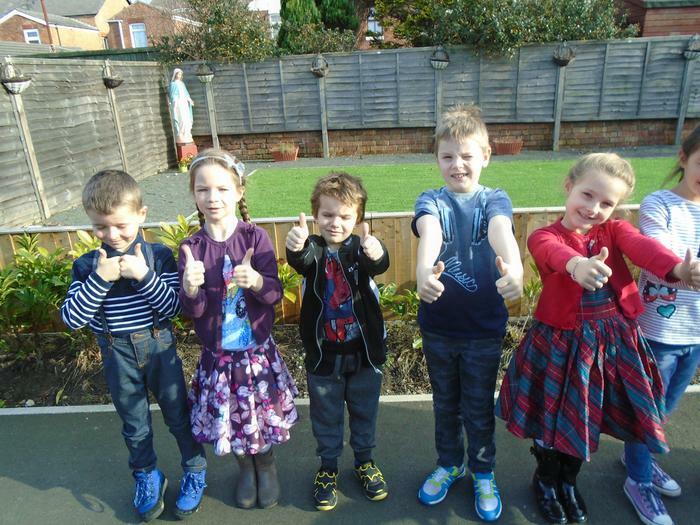 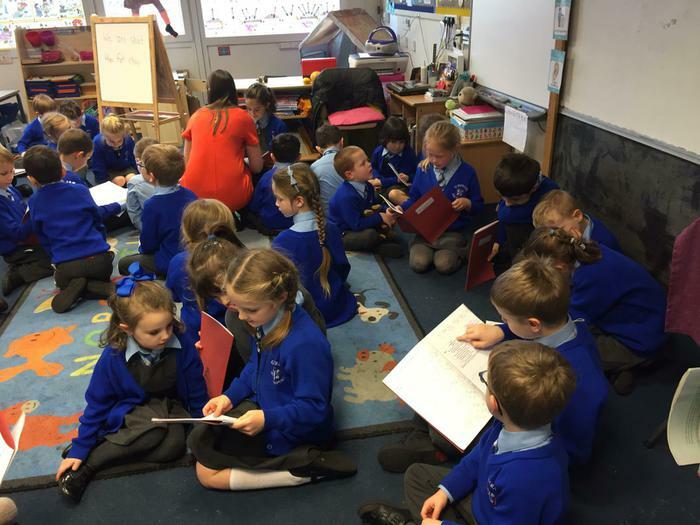 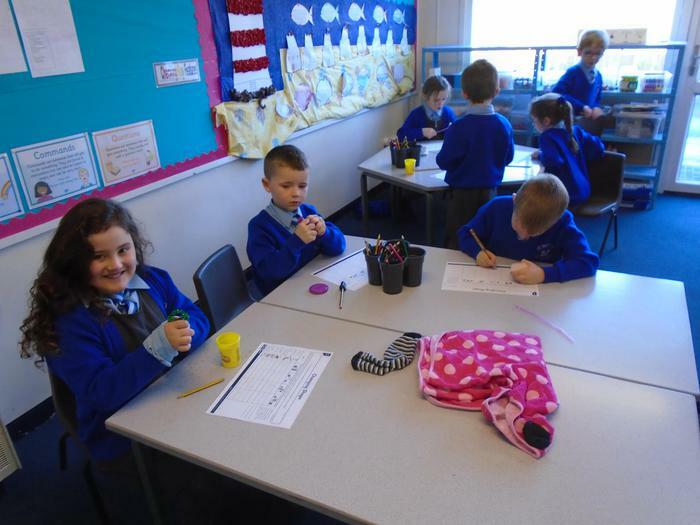 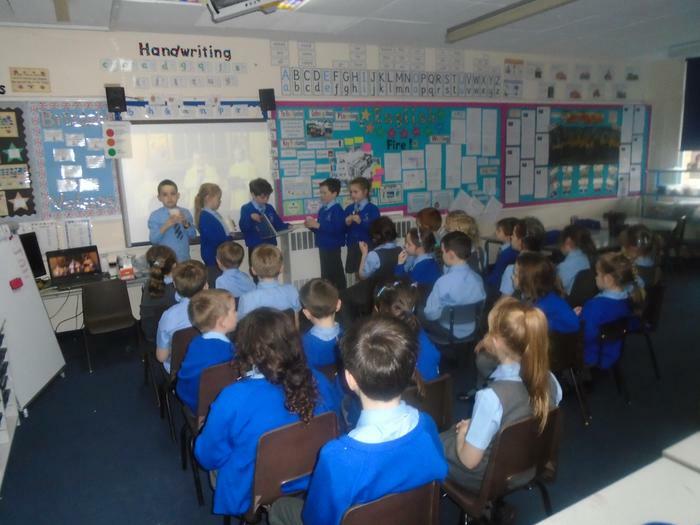 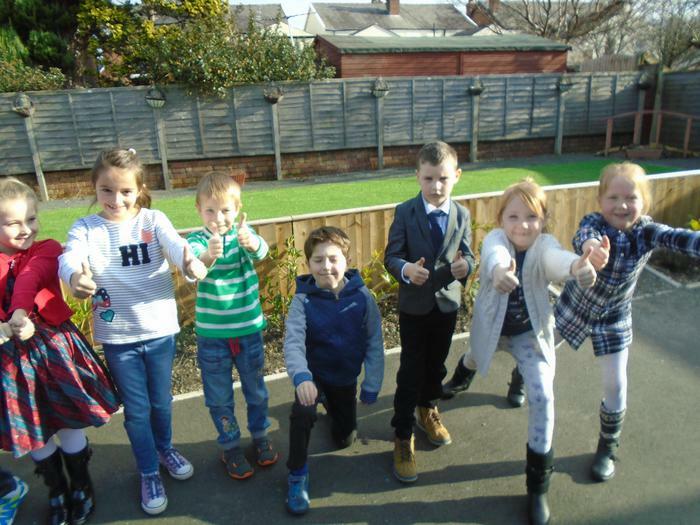 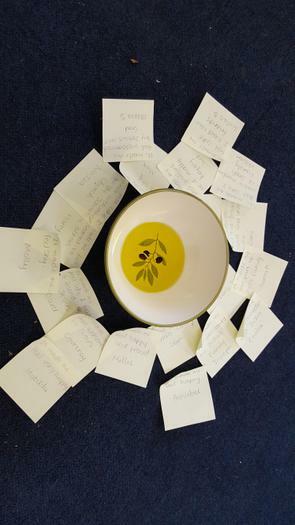 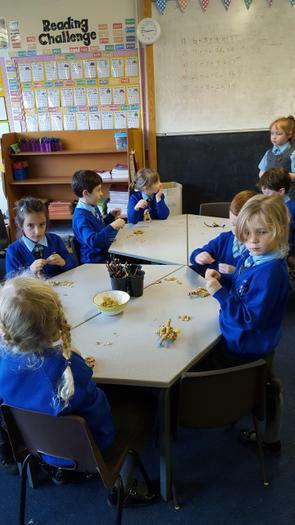 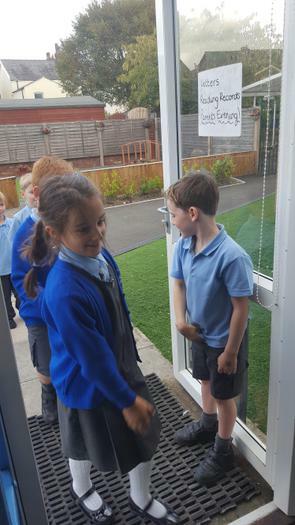 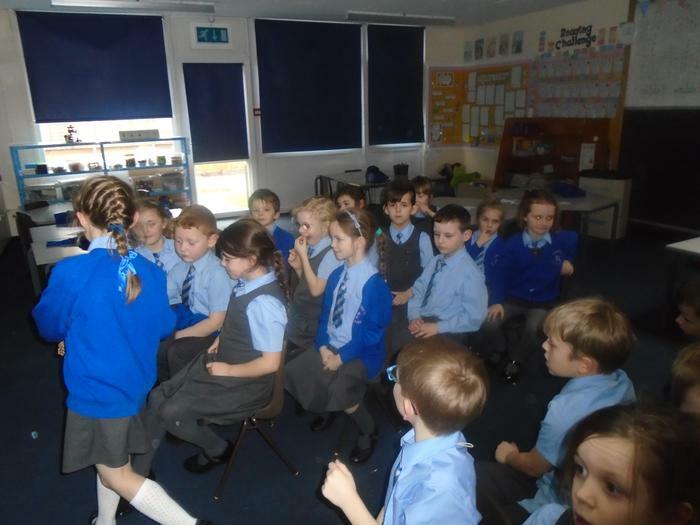 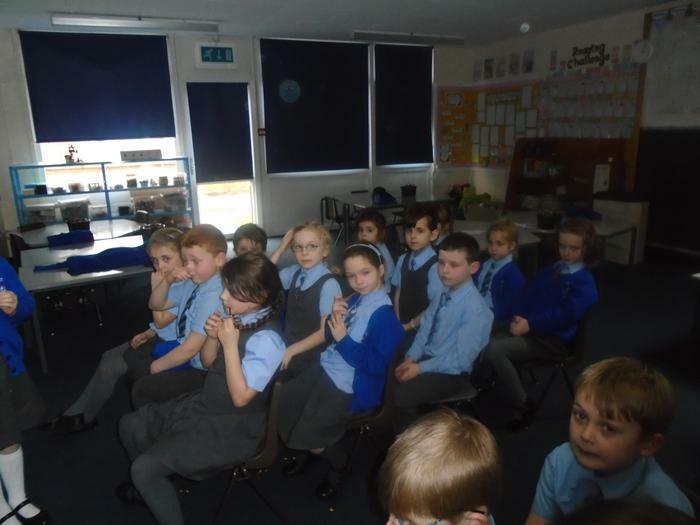 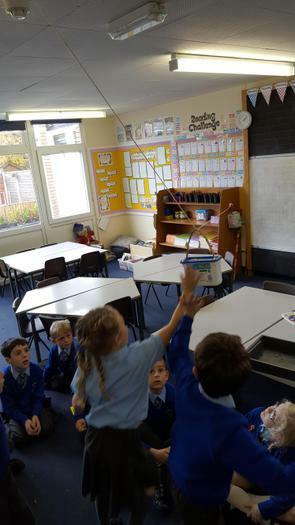 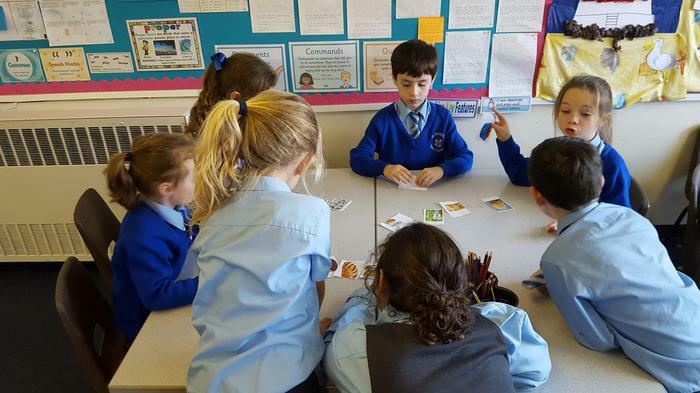 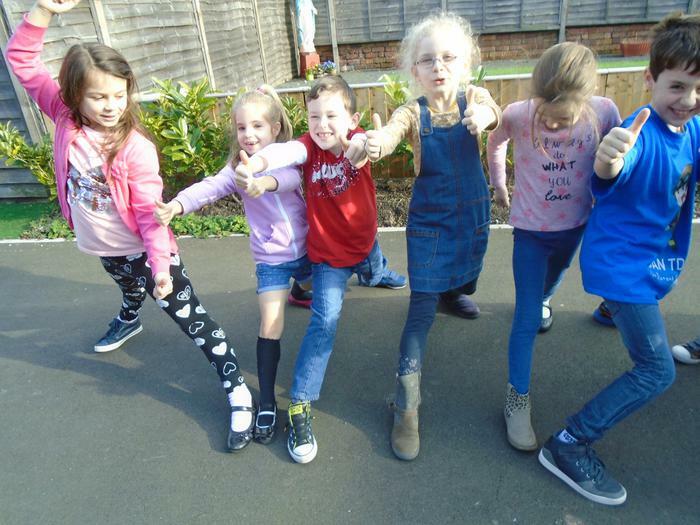 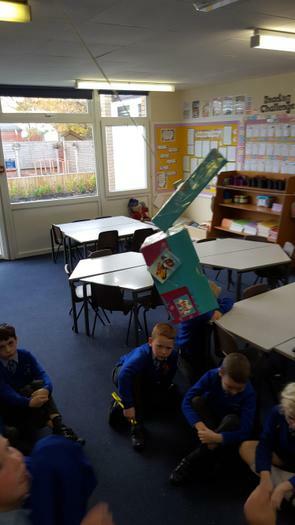 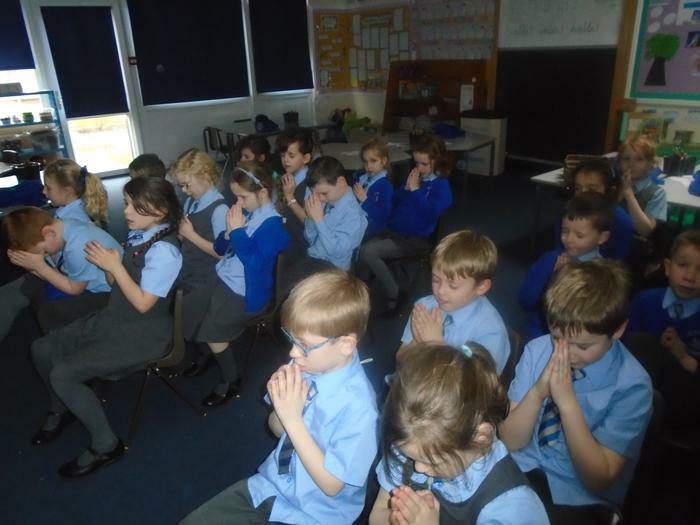 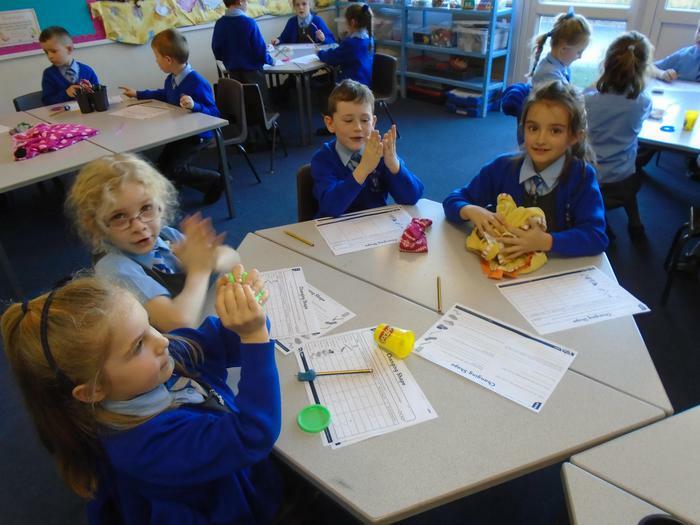 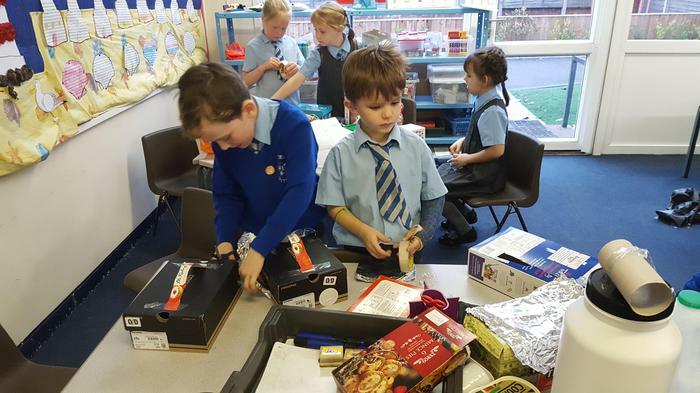 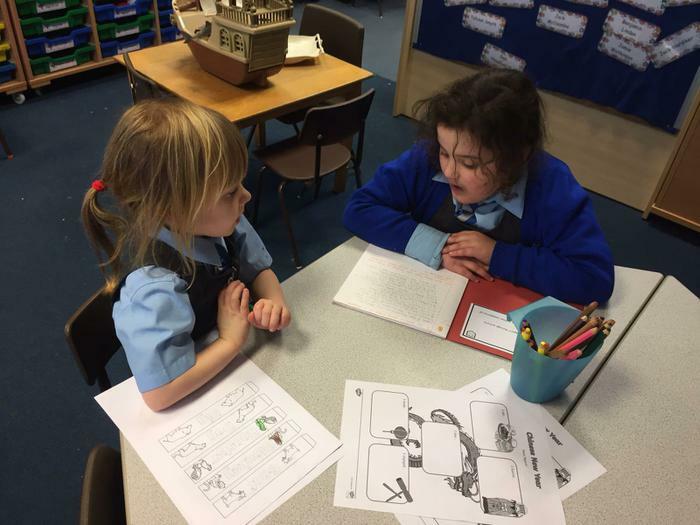 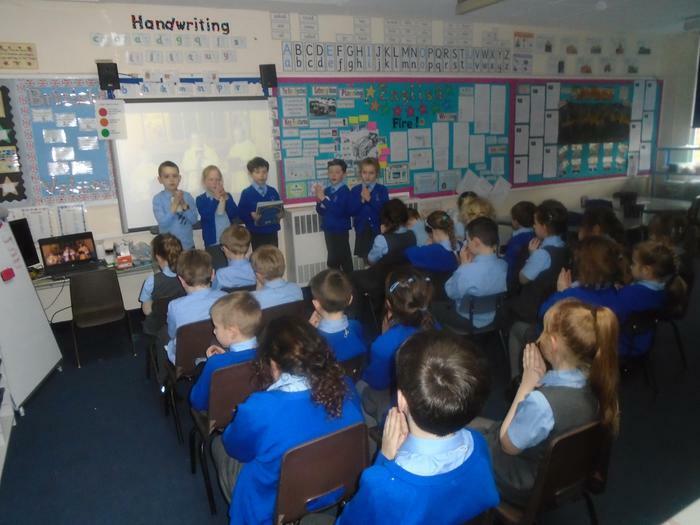 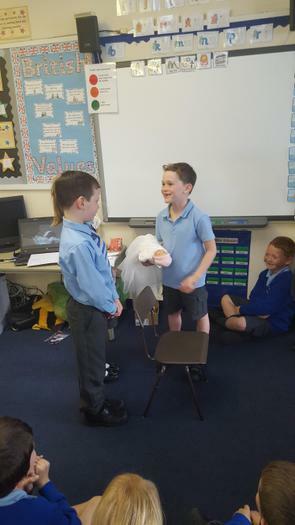 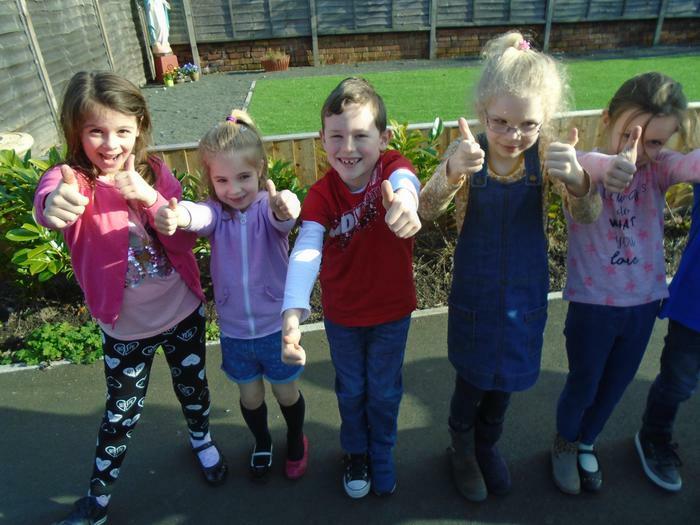 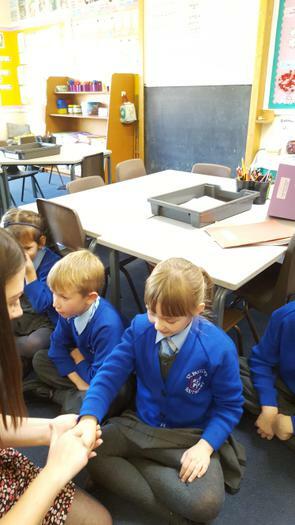 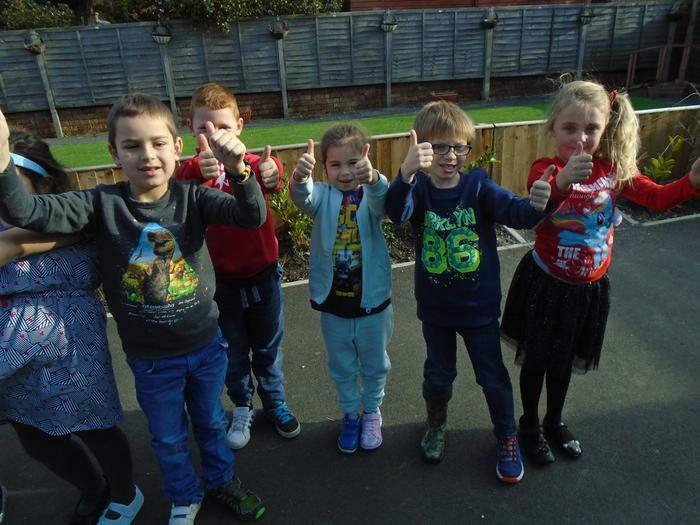 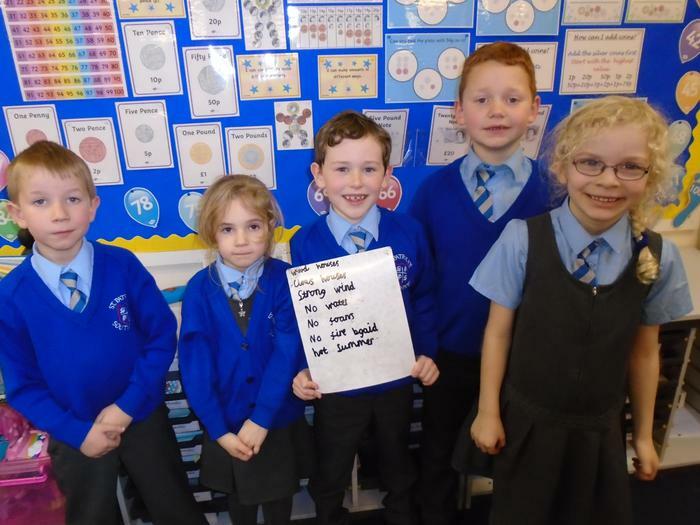 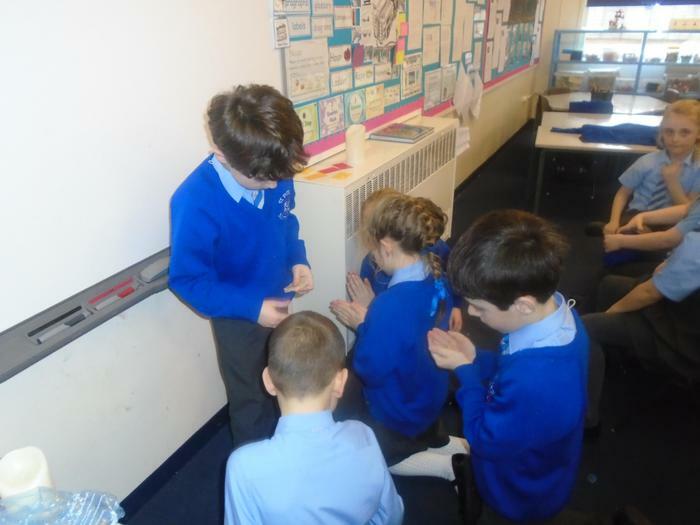 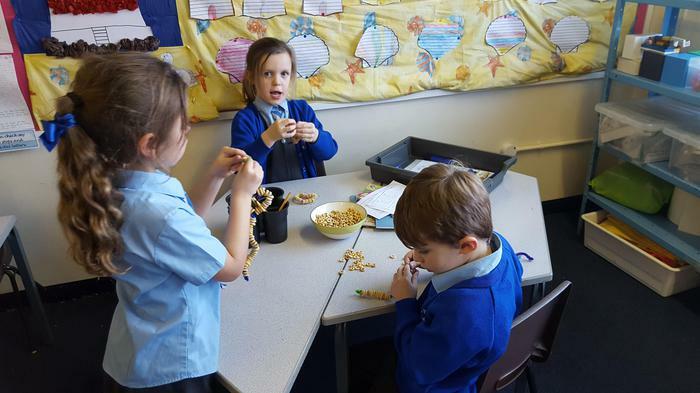 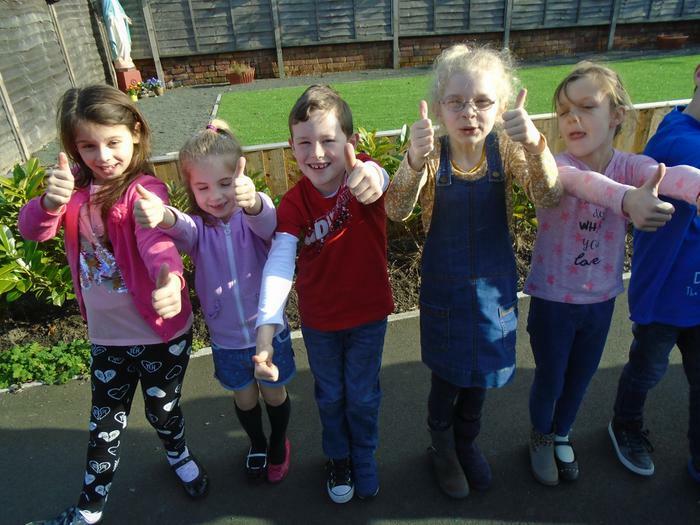 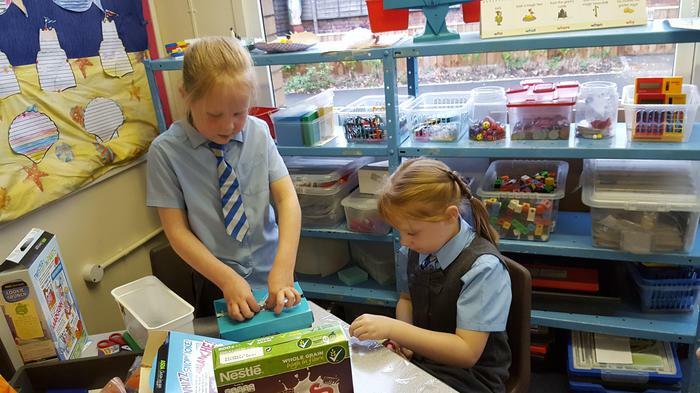 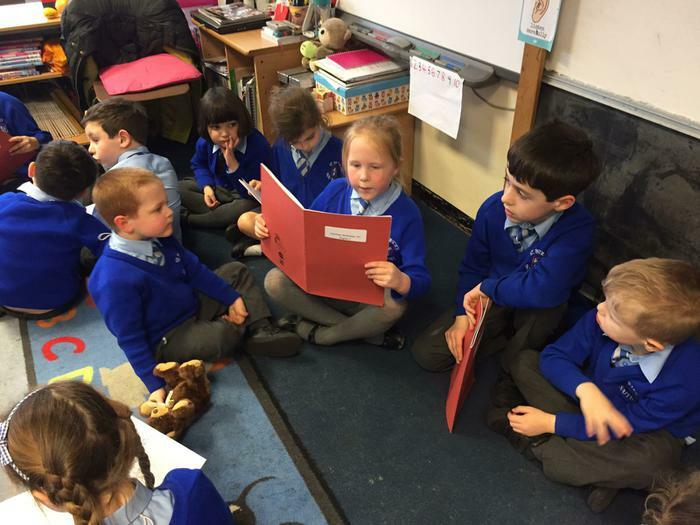 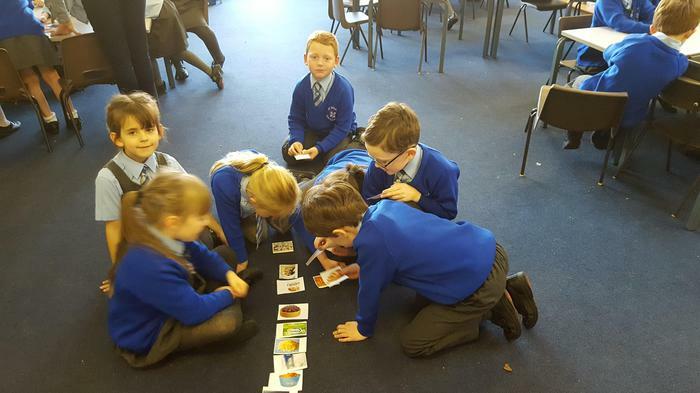 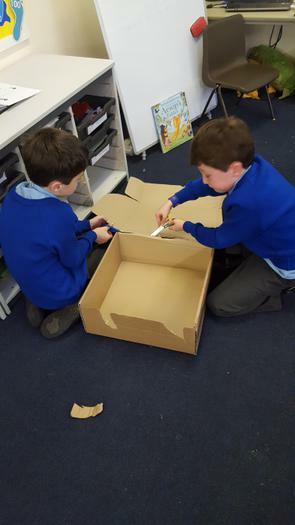 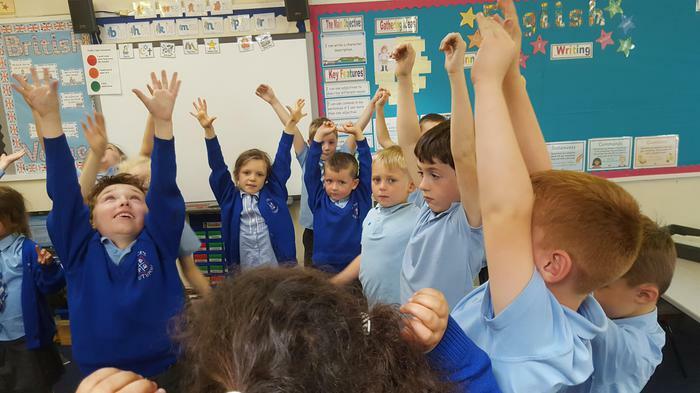 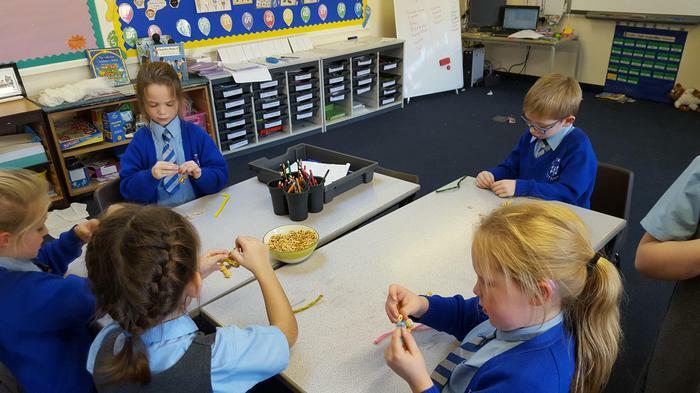 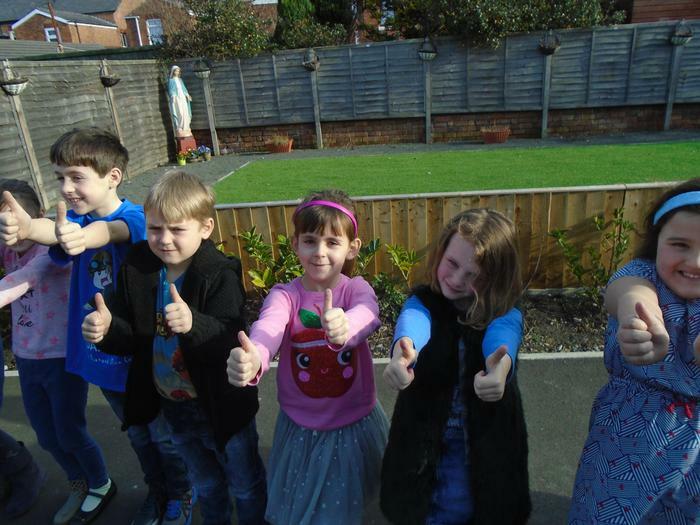 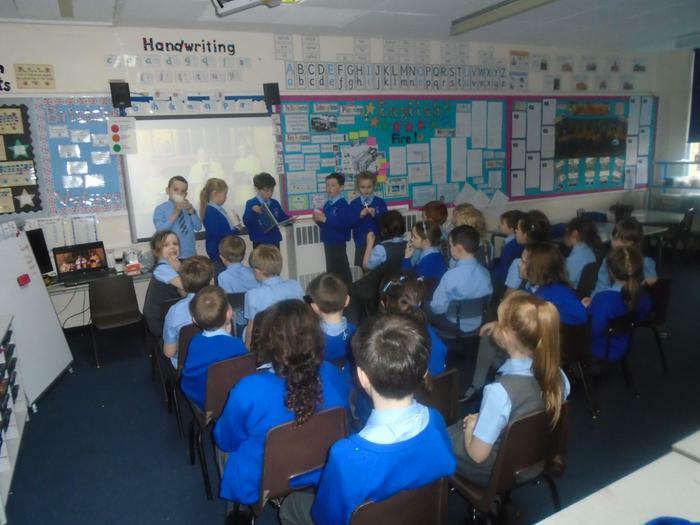 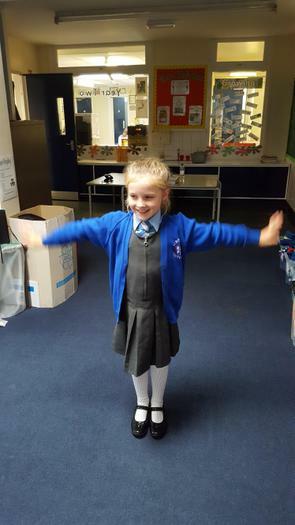 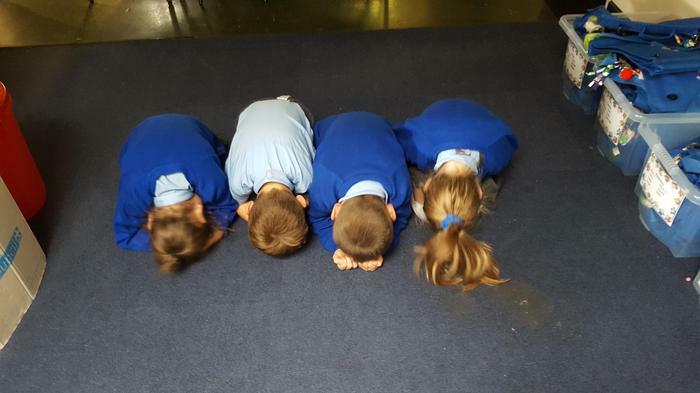 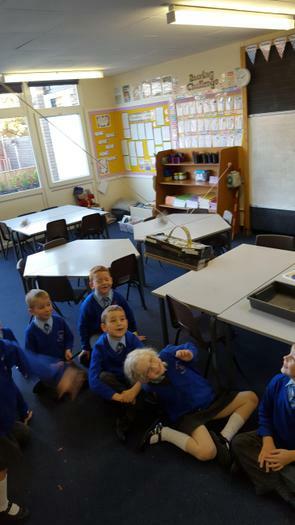 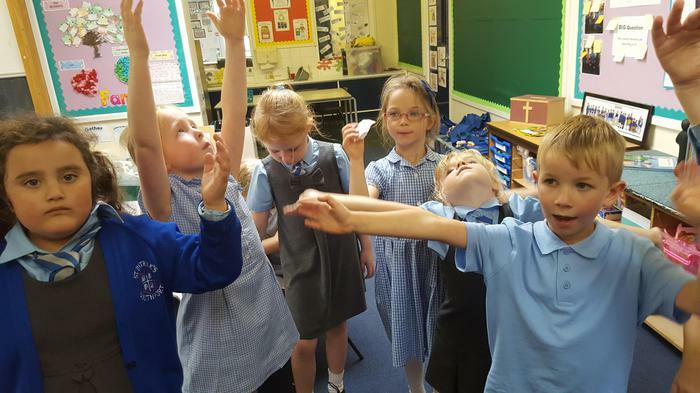 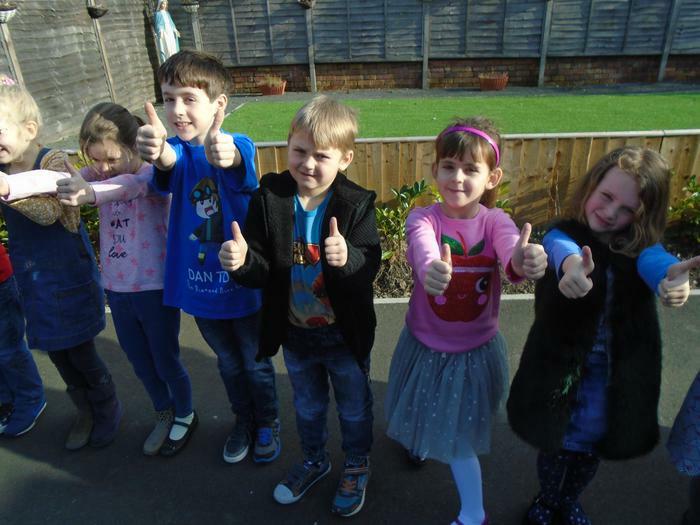 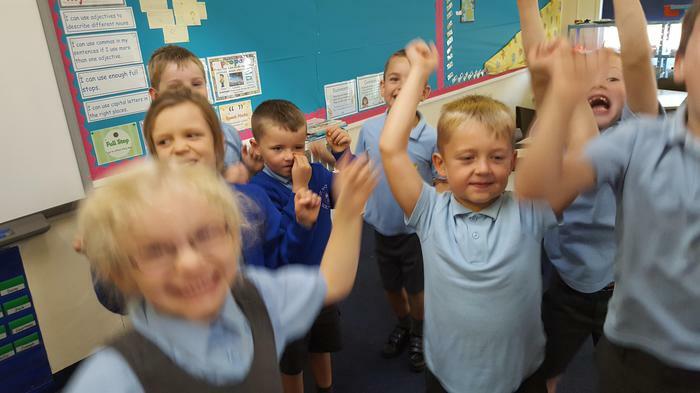 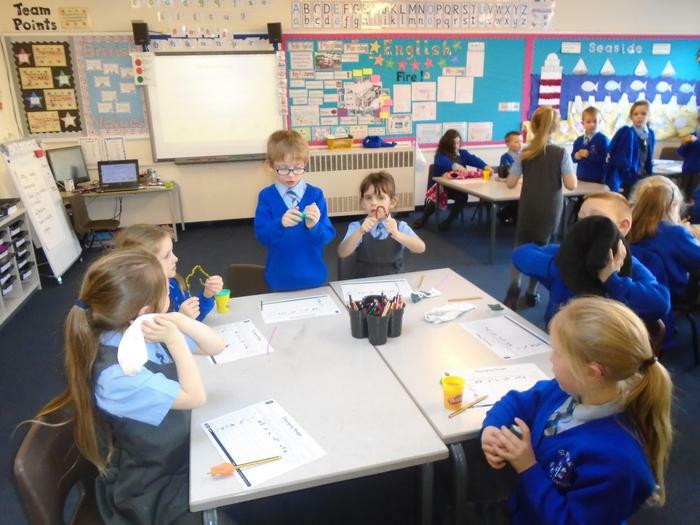 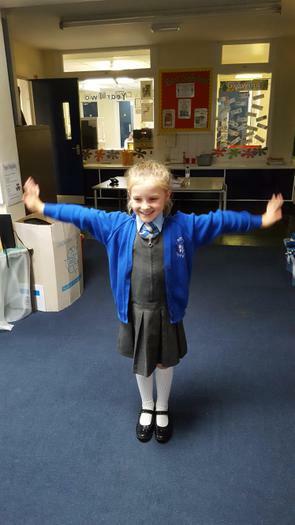 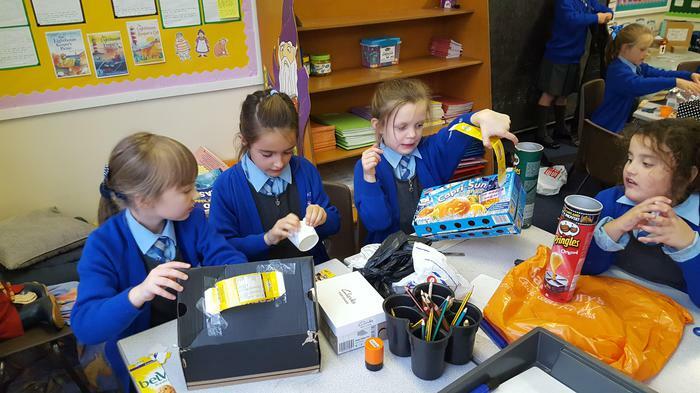 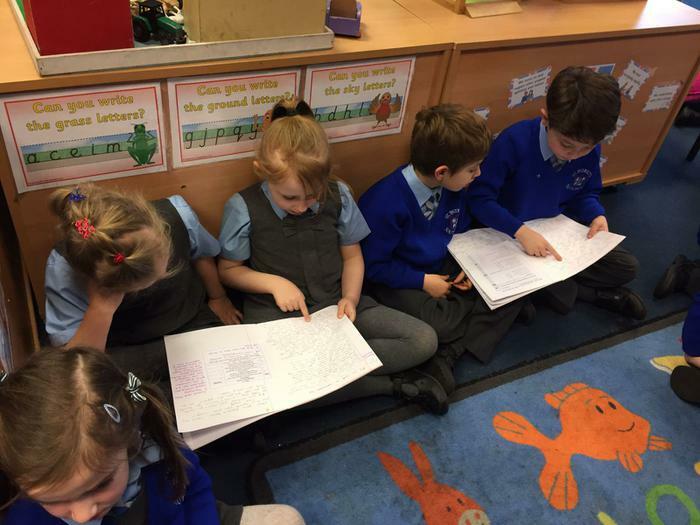 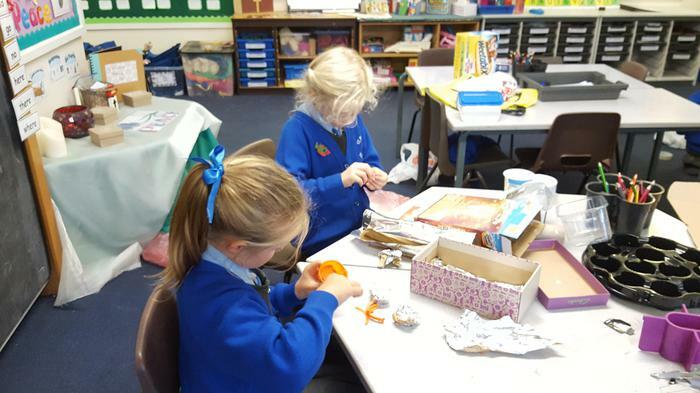 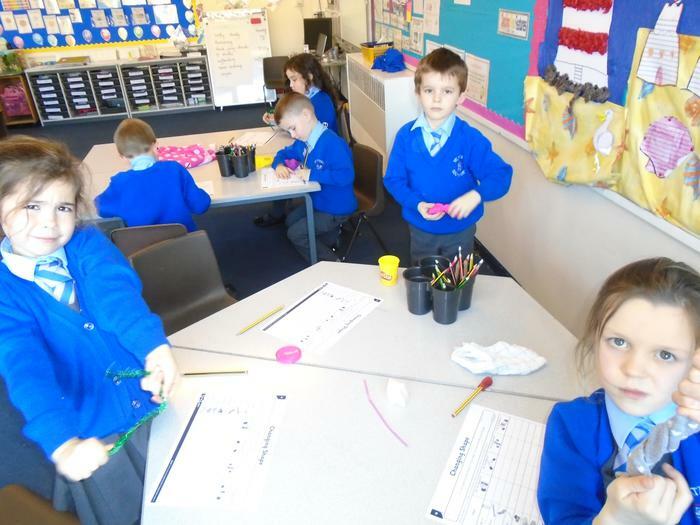 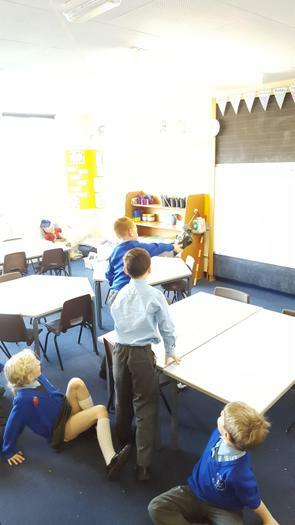 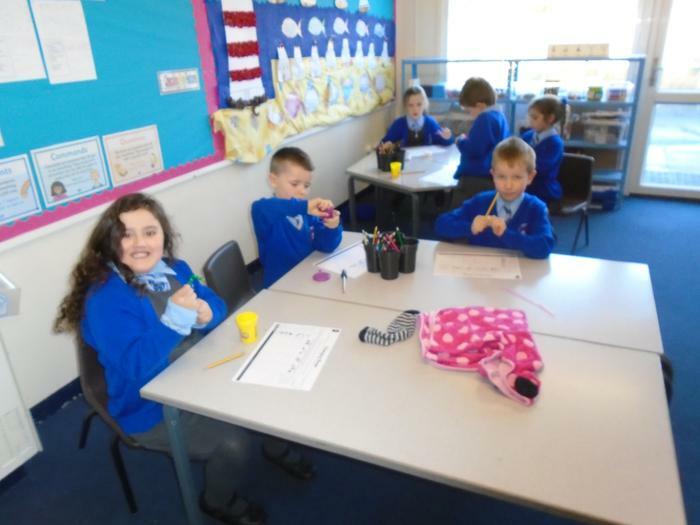 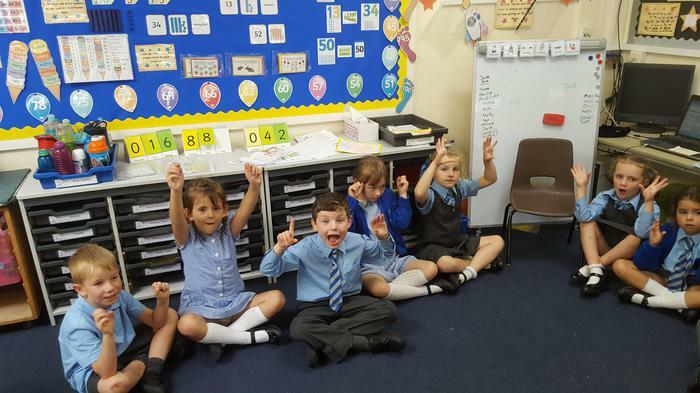 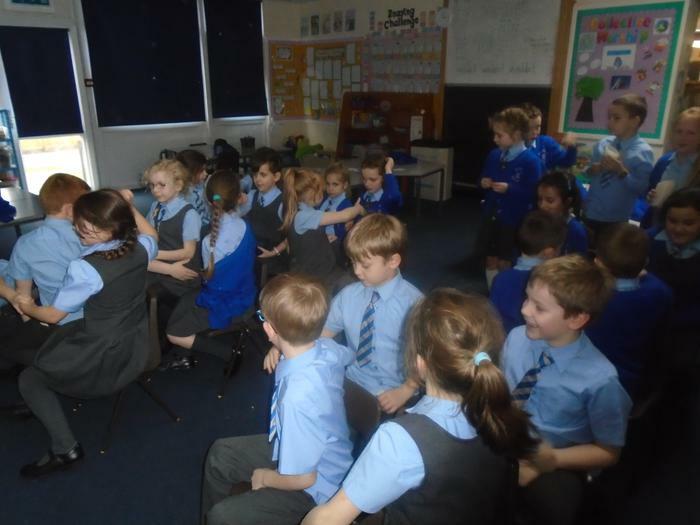 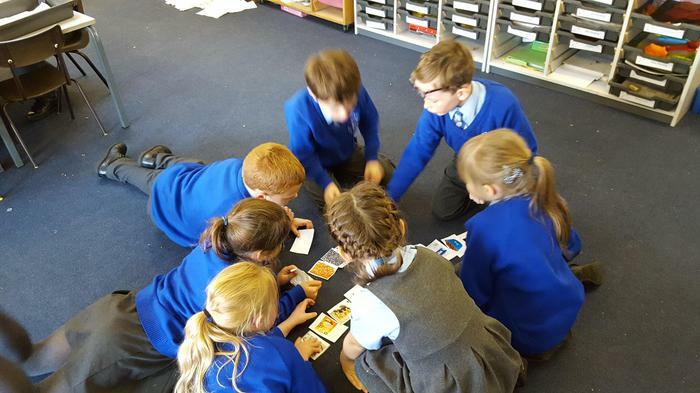 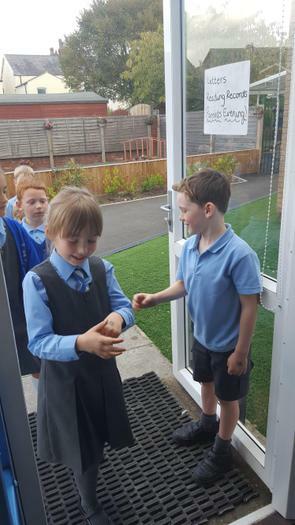 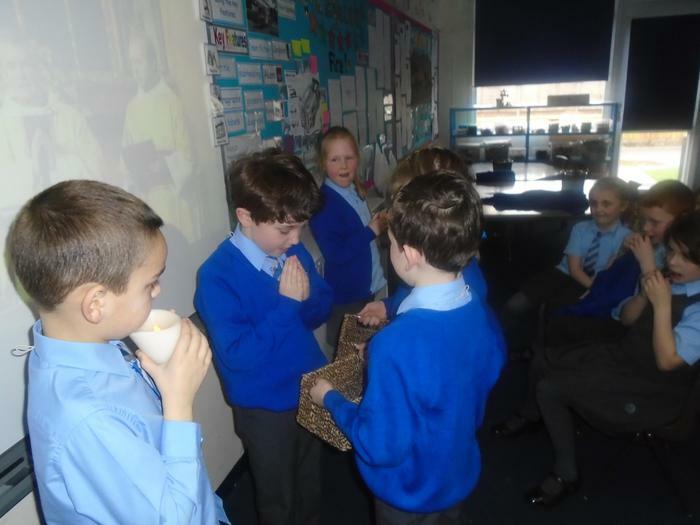 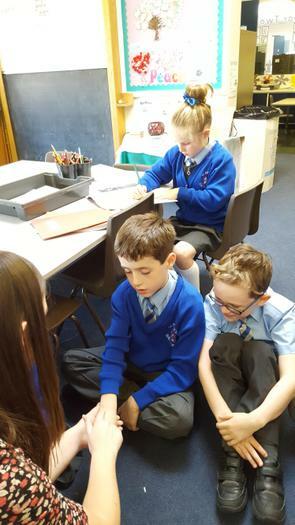 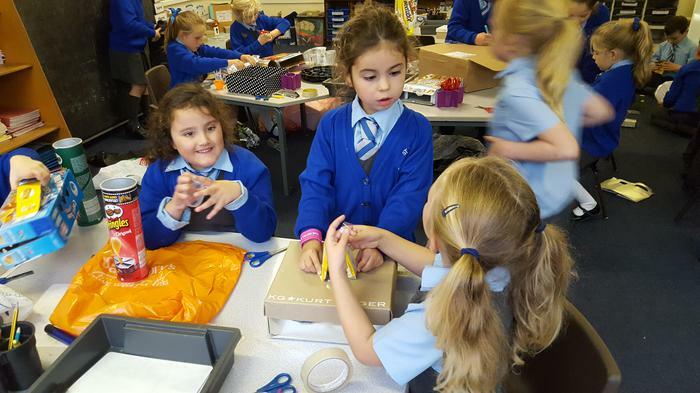 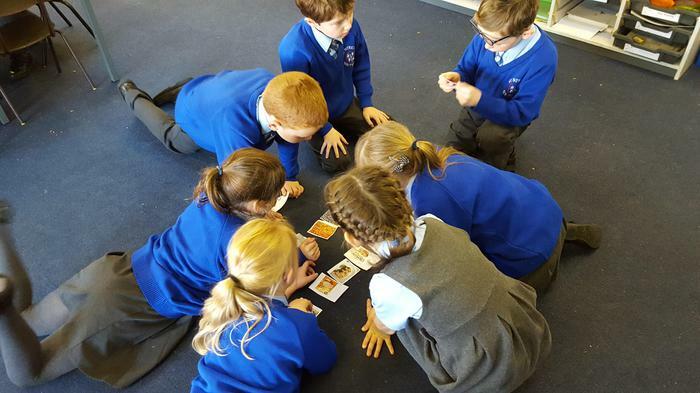 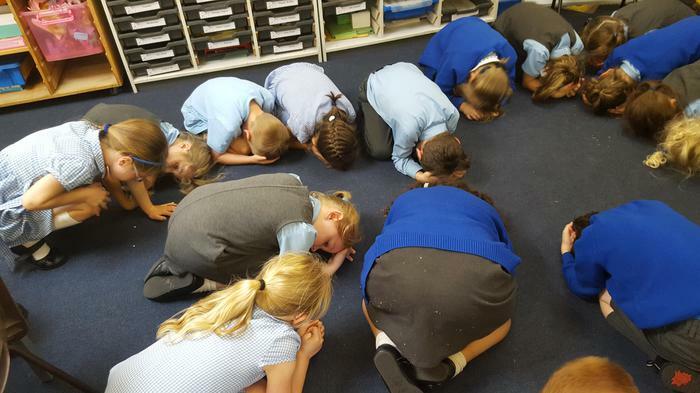 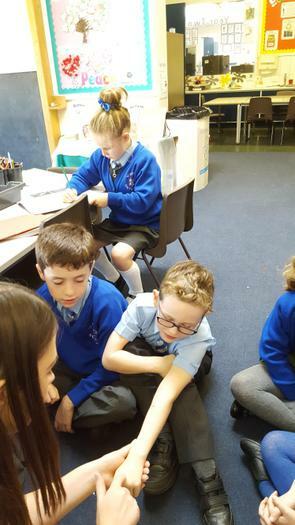 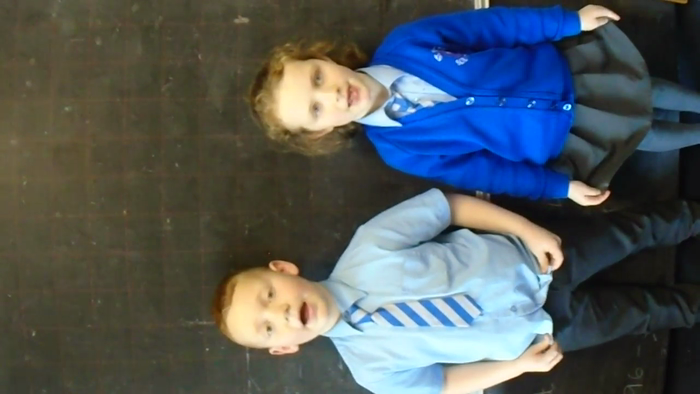 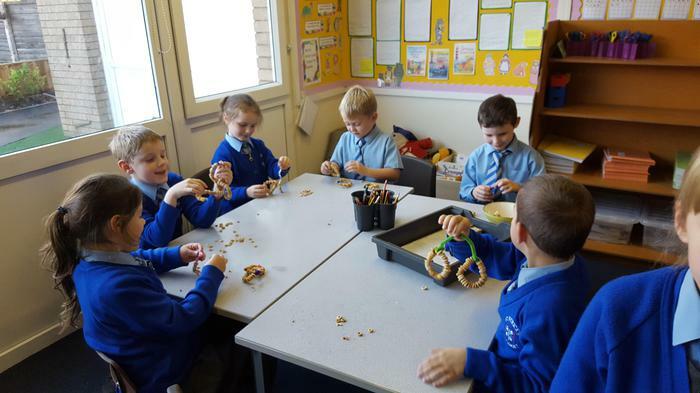 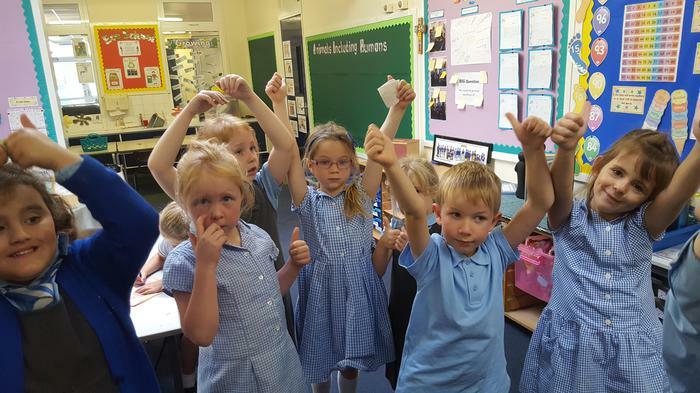 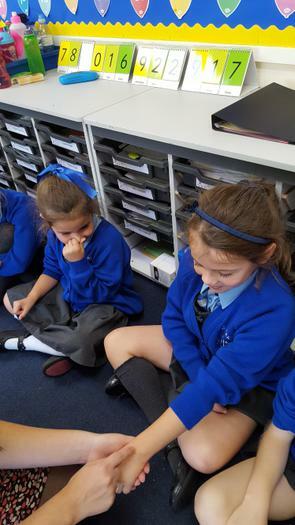 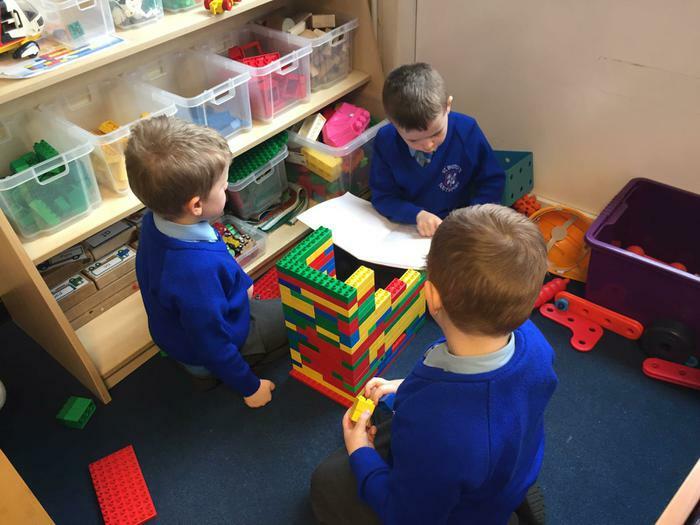 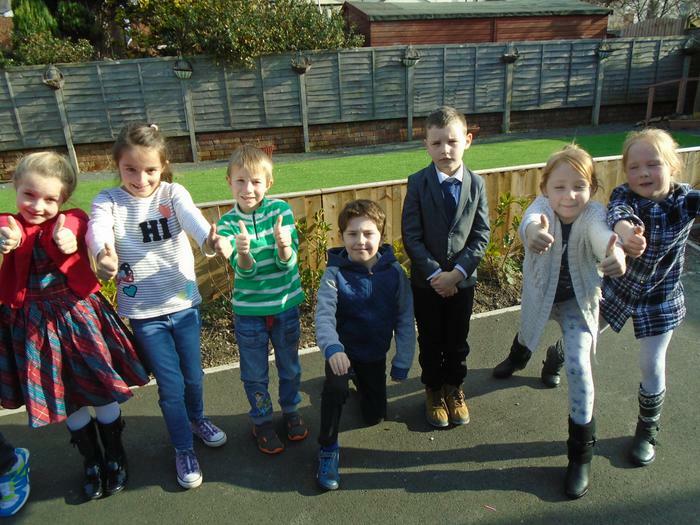 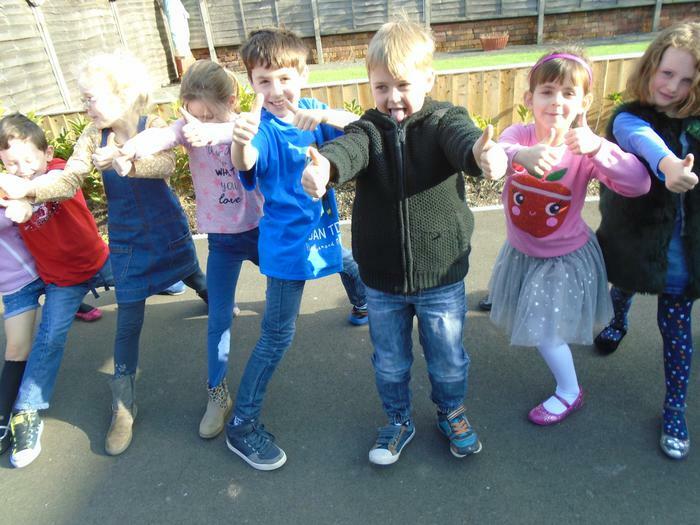 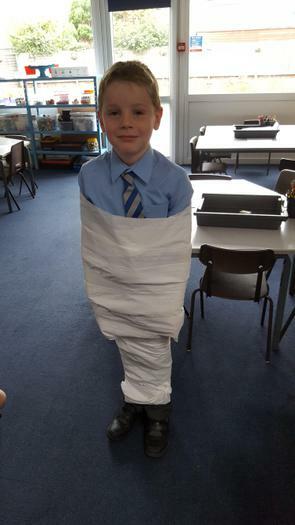 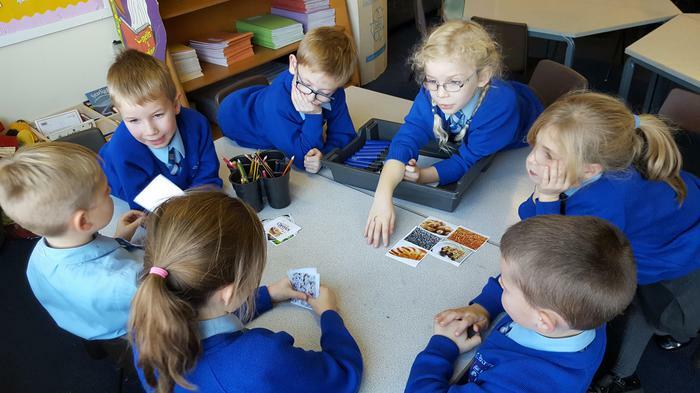 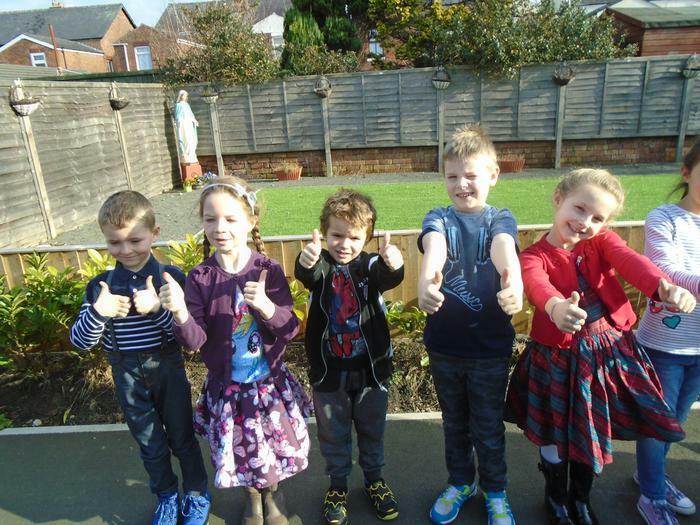 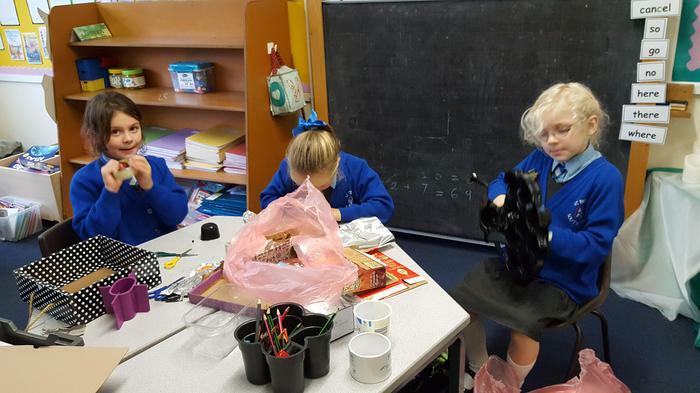 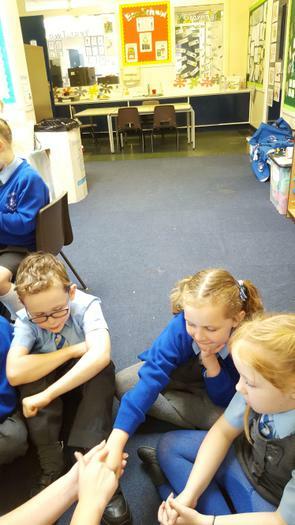 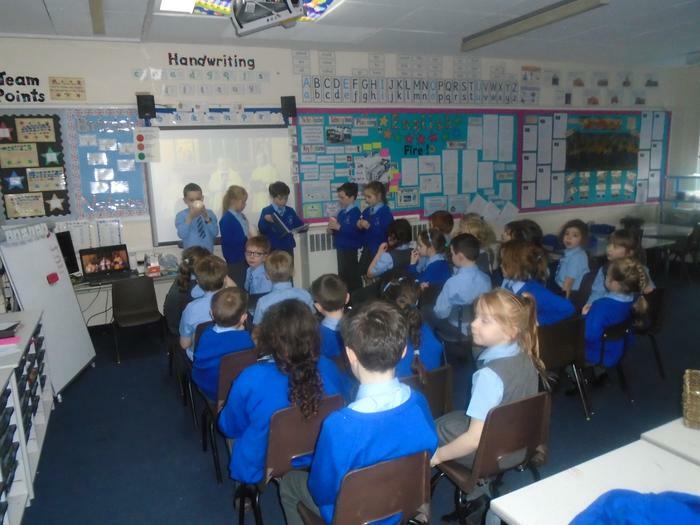 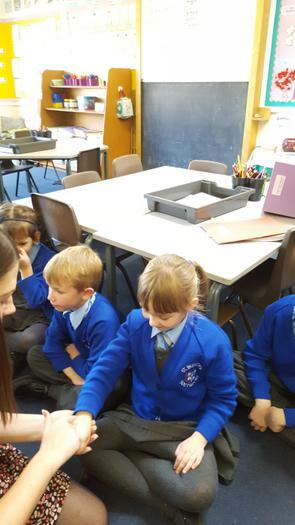 All the children in 2H have settled back into school brilliantly after an exciting Easter holiday and have made a super start to the term so far. 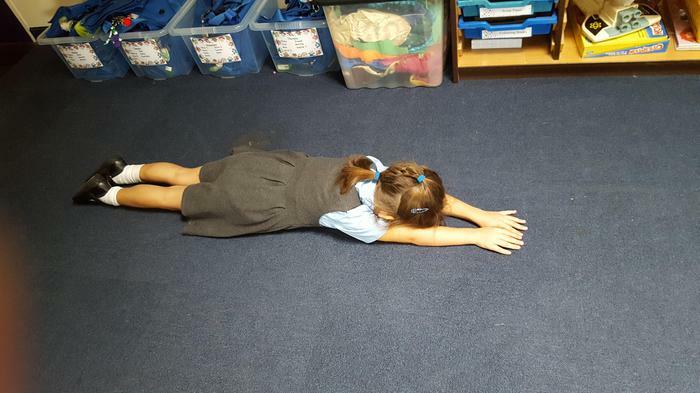 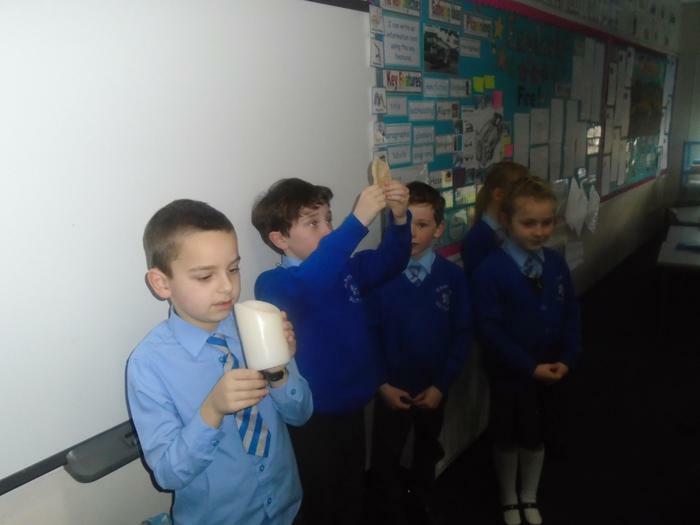 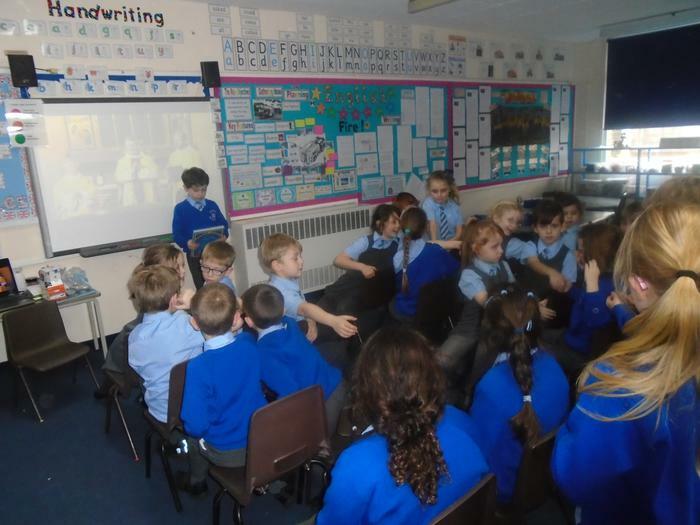 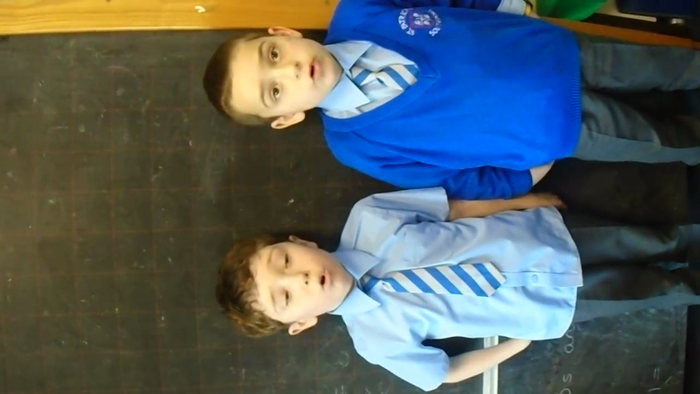 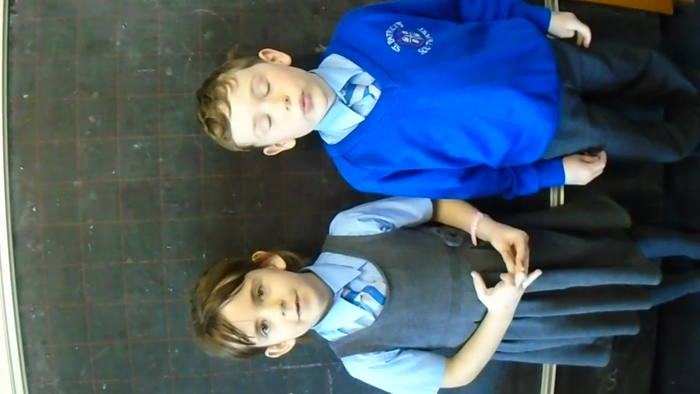 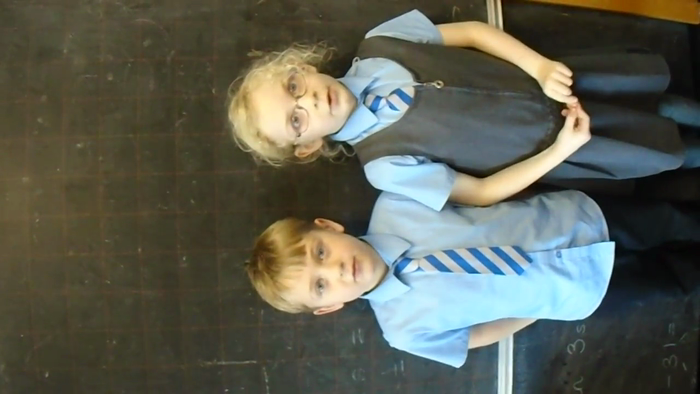 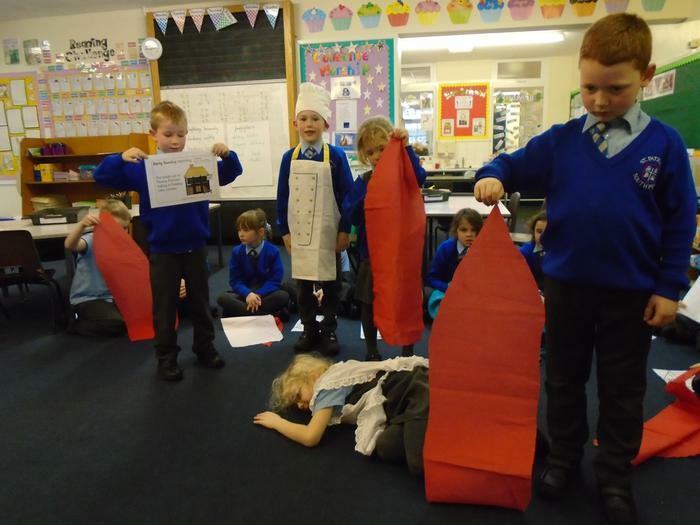 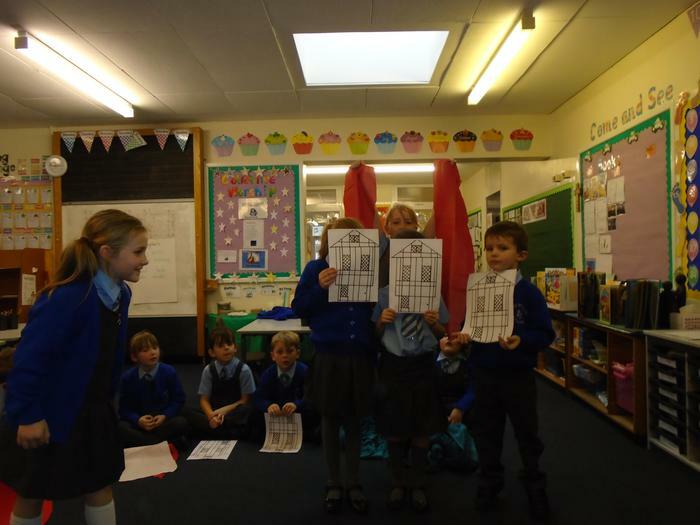 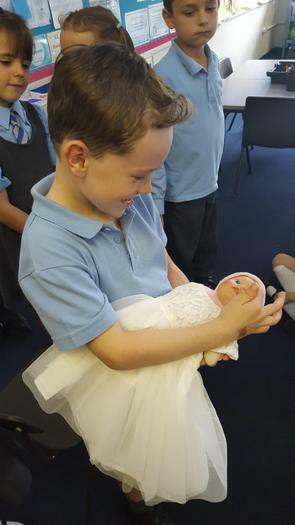 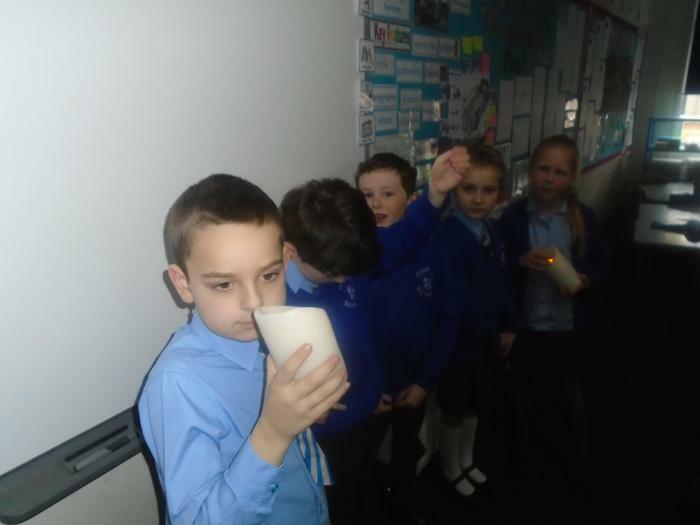 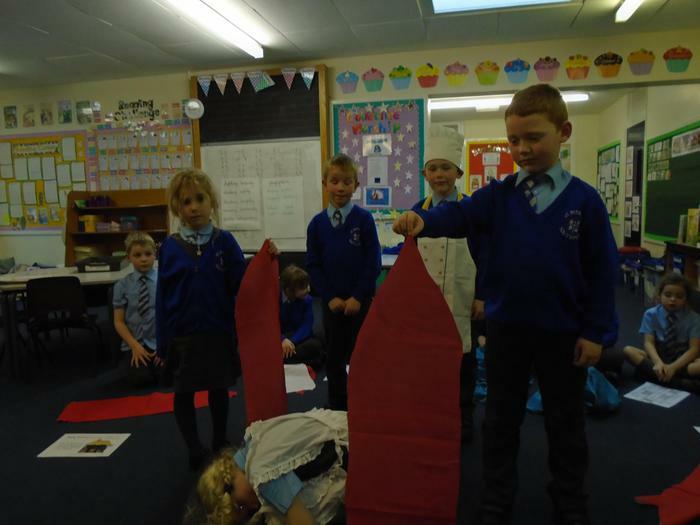 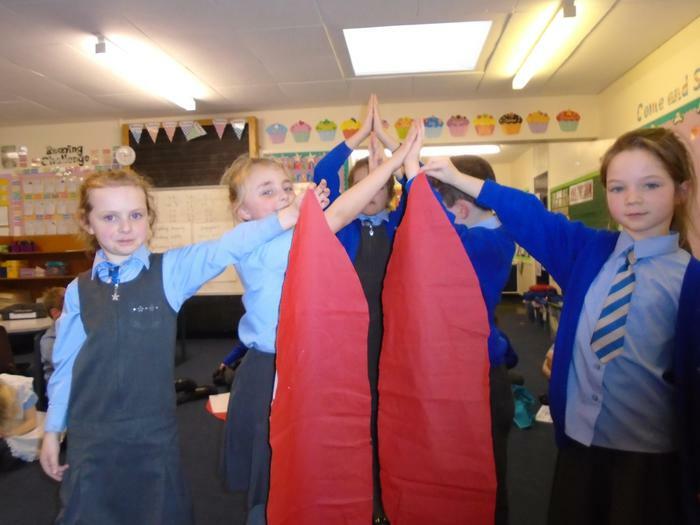 Our new topic is all about Florence Nightingale. 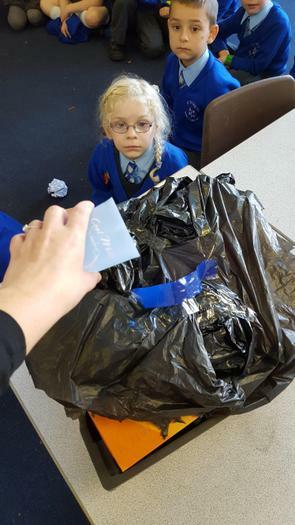 If you have any books, pictures or objects related to this topic we would love to see them and will take great care of anything brought into school. 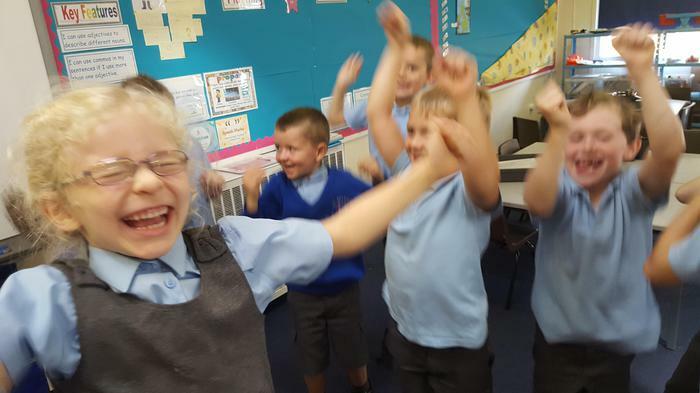 We have PE on Mondays and Fridays. 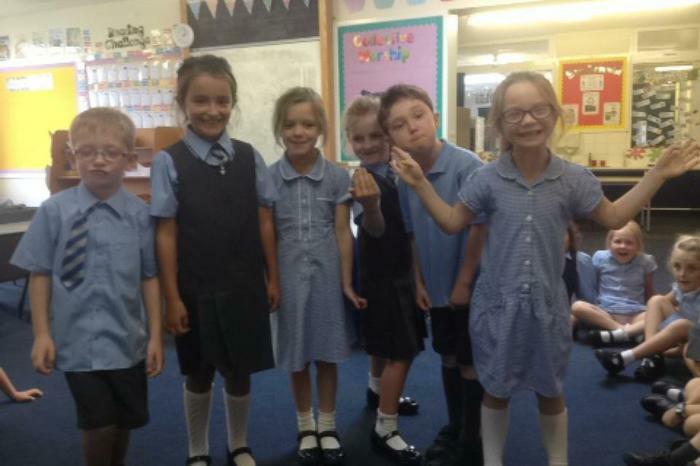 Please make sure that your child has their kit in school on these days. 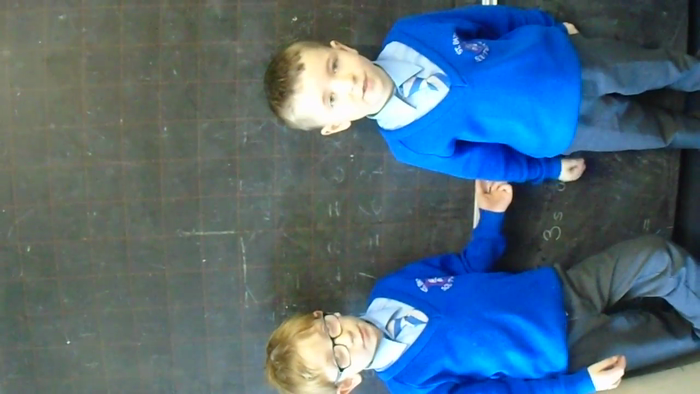 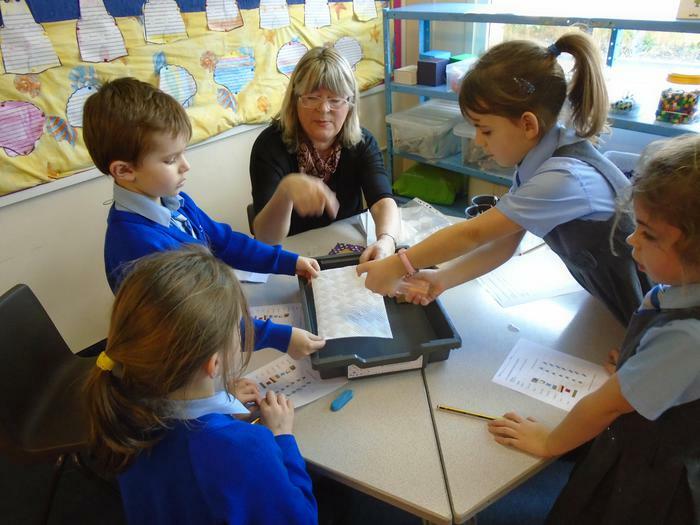 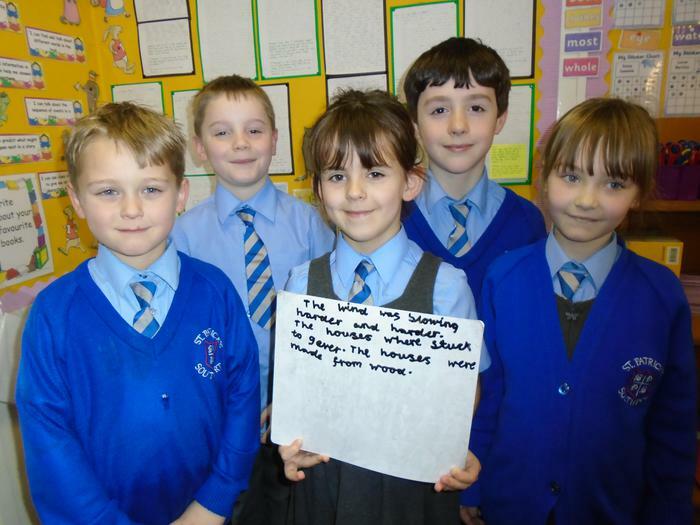 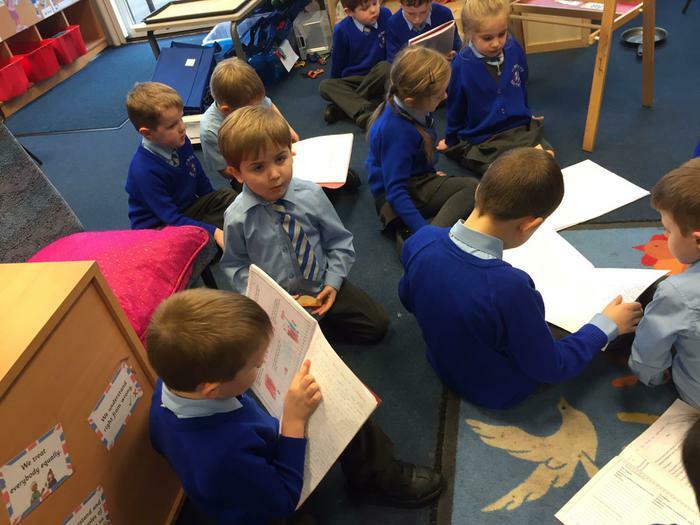 Lots of children are doing a great job completing their homework each week. 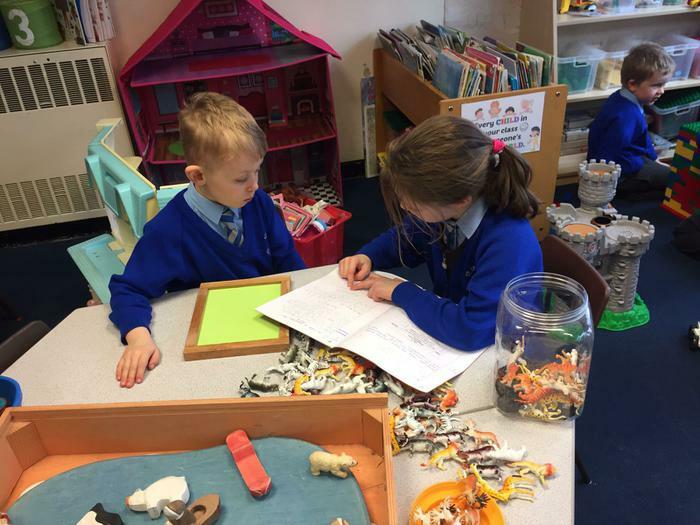 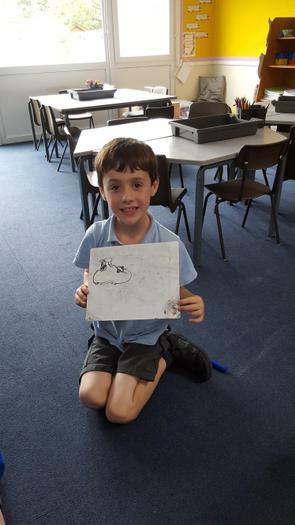 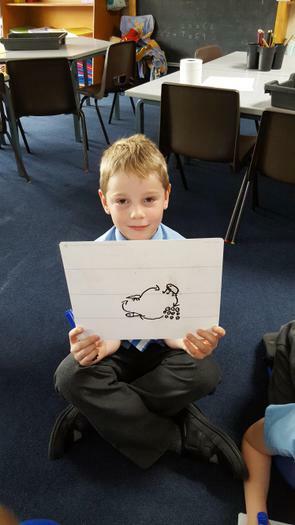 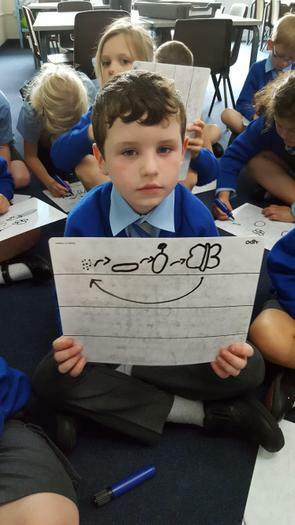 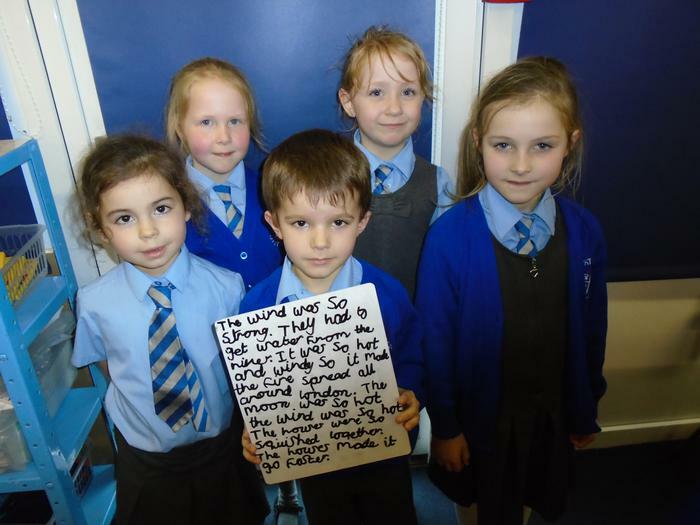 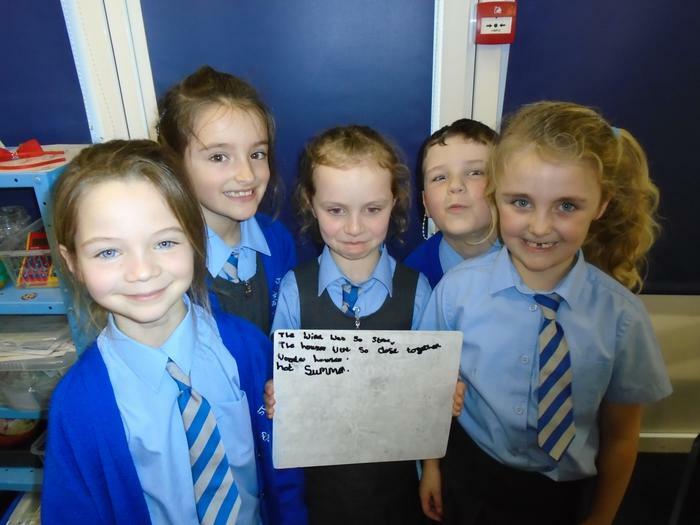 In addition to weekly spellings children will continue to bring home a piece of work to complete, linked to Maths or Punctuation and Grammar. 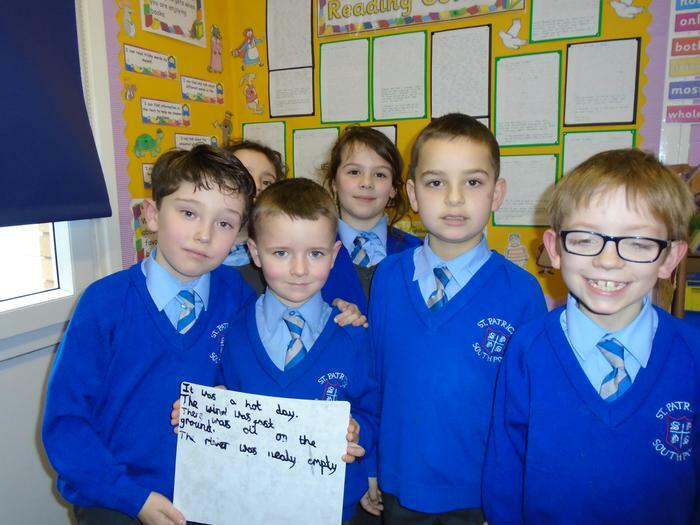 This is sent out every Monday and collected in the following Monday to allow everyone to have enough time to complete the task. 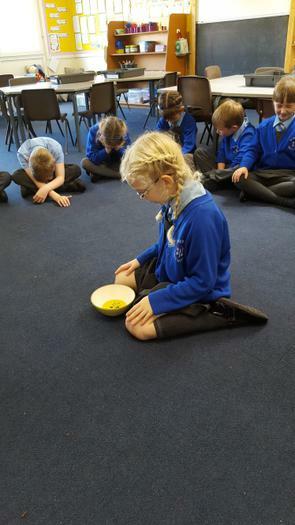 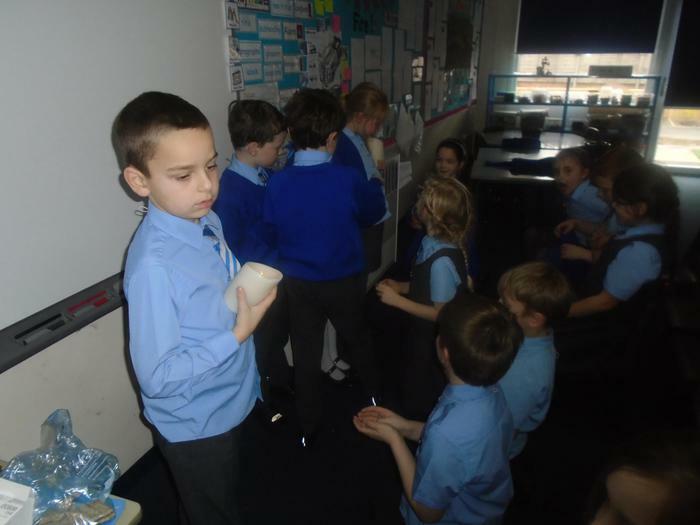 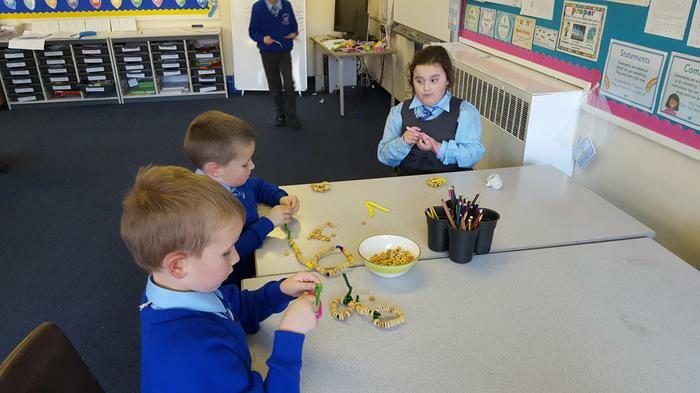 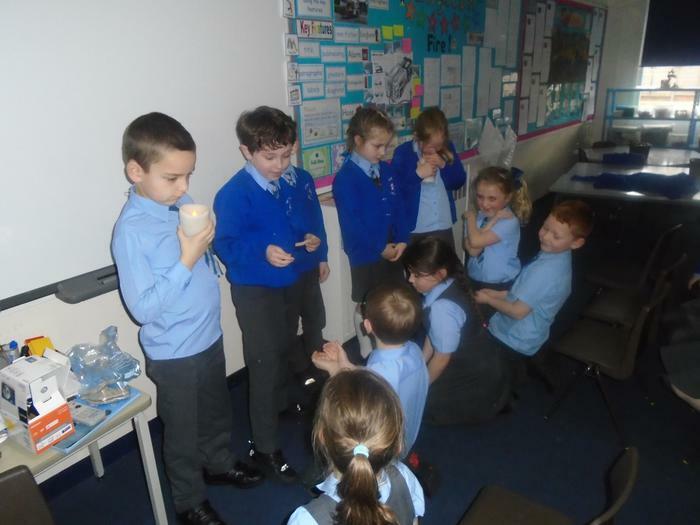 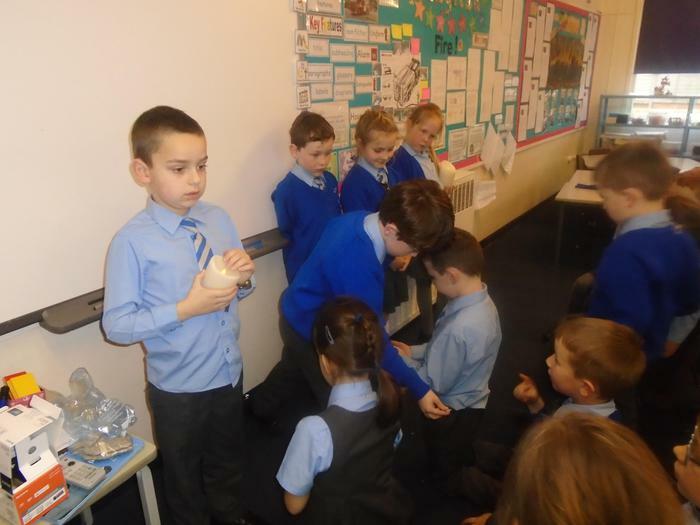 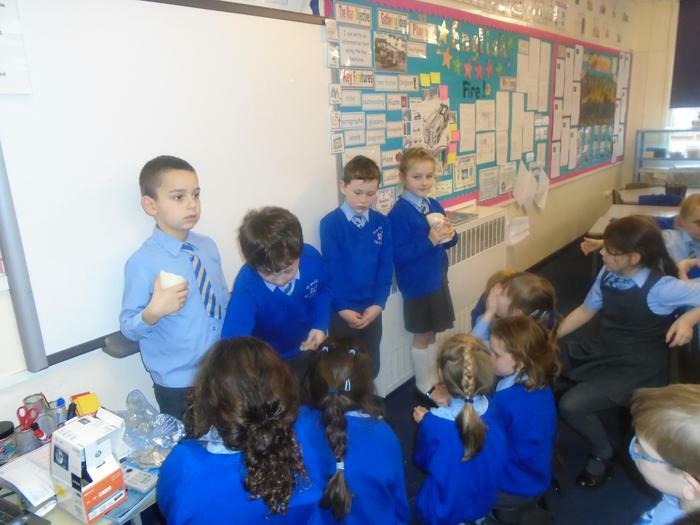 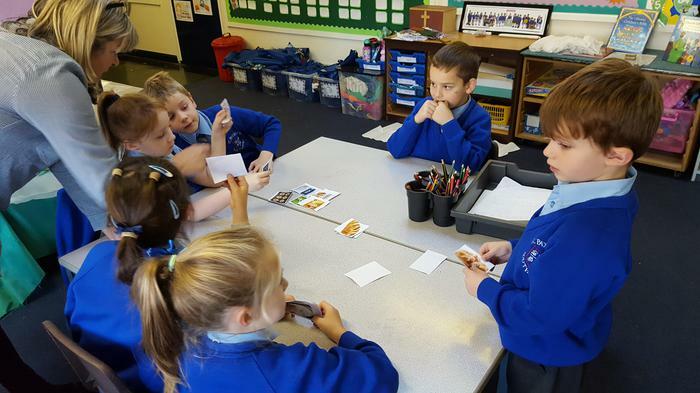 Our Healthy Snack scheme has started again. 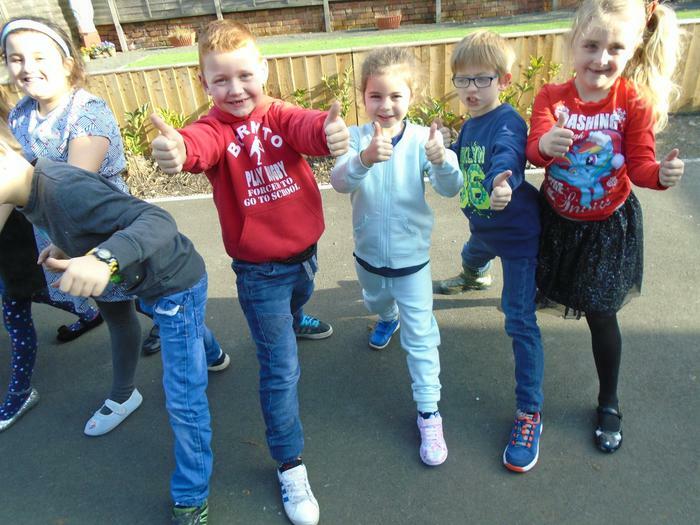 If your child is taking part in the scheme please make sure that you send in their money every Monday or at the beginning of each half term. 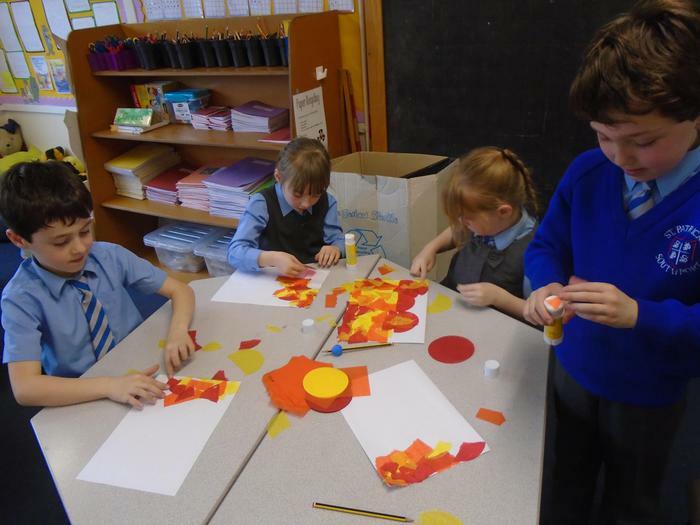 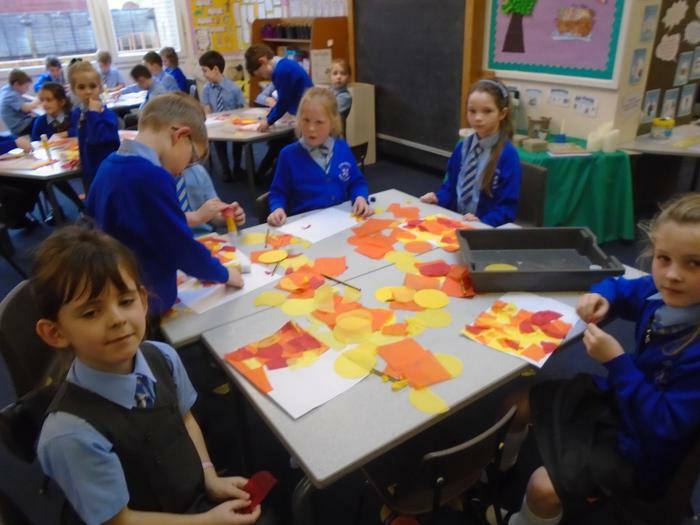 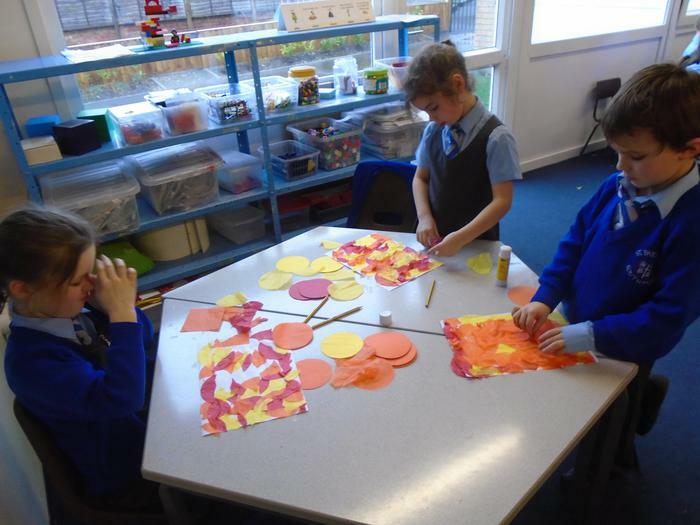 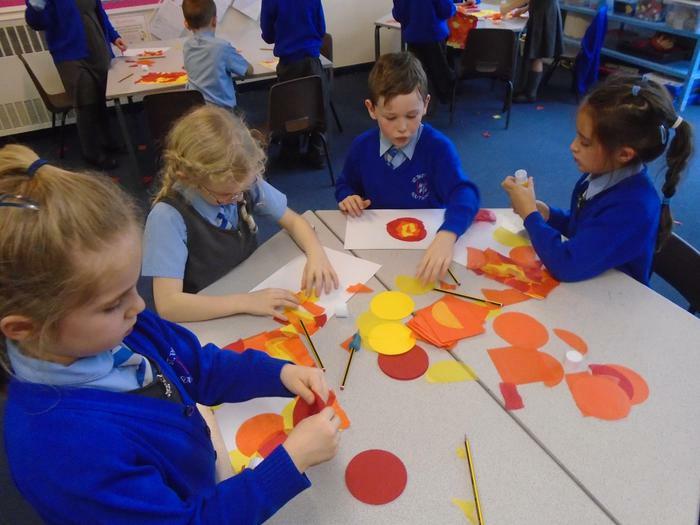 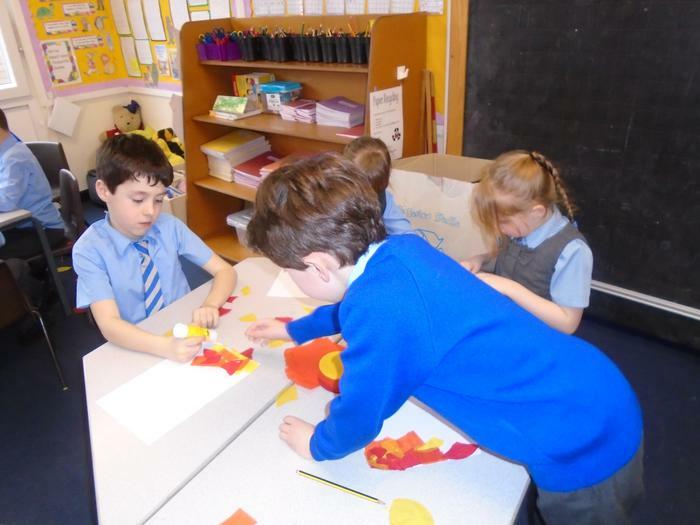 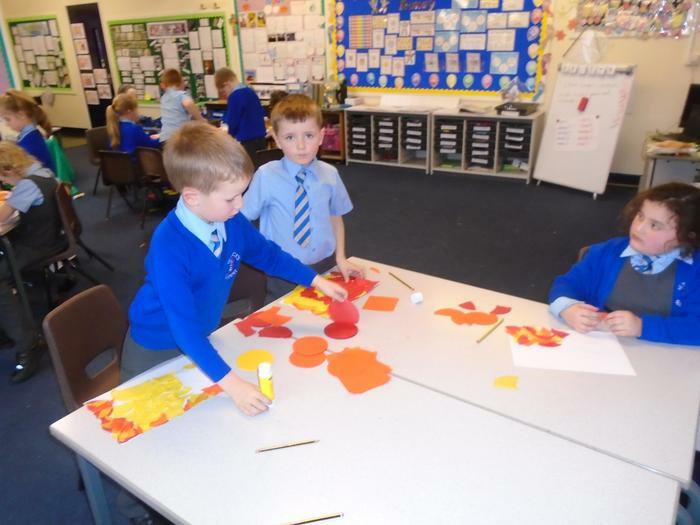 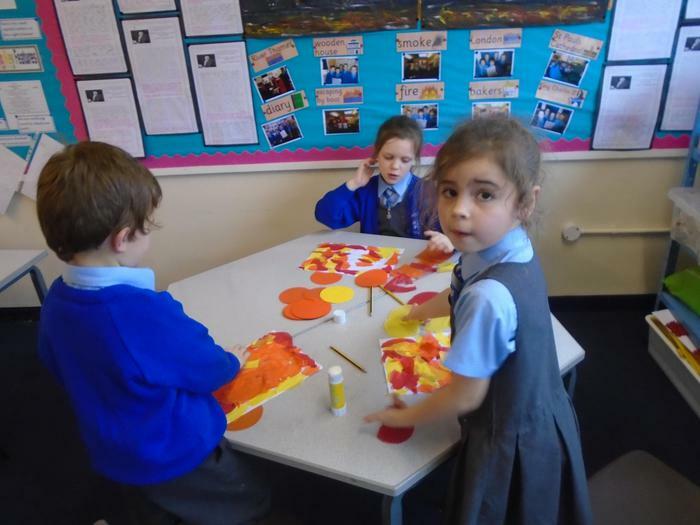 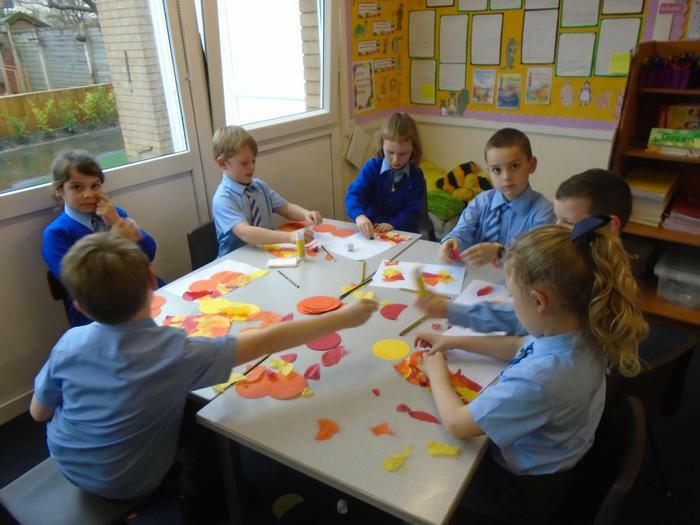 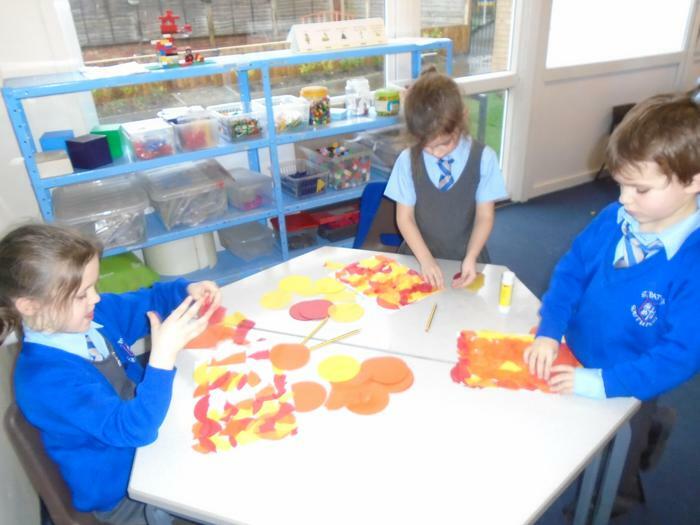 We really enjoyed creating fire collages in the style of Eric Carle. 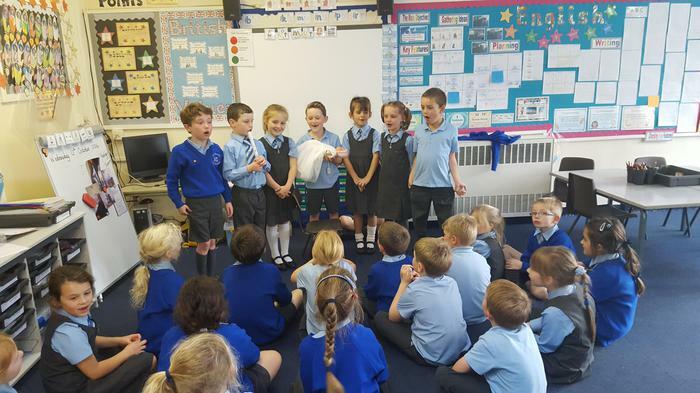 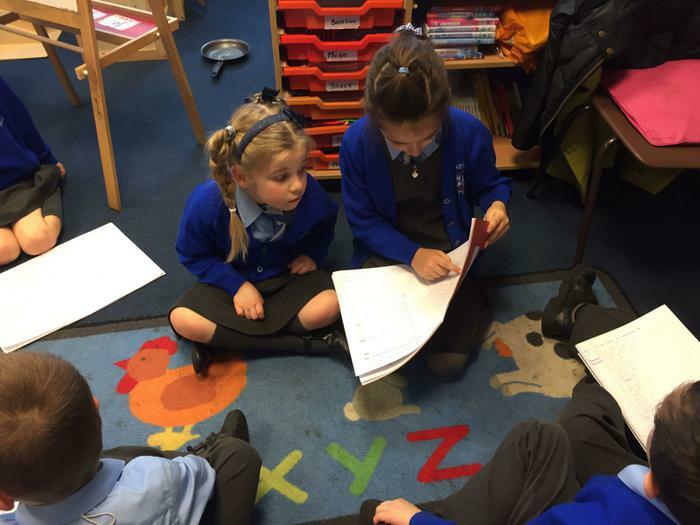 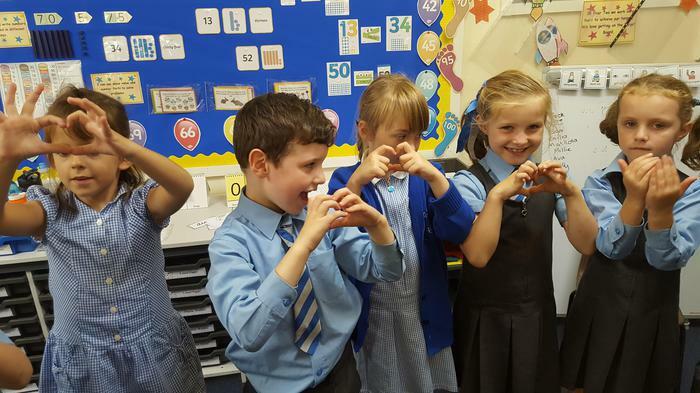 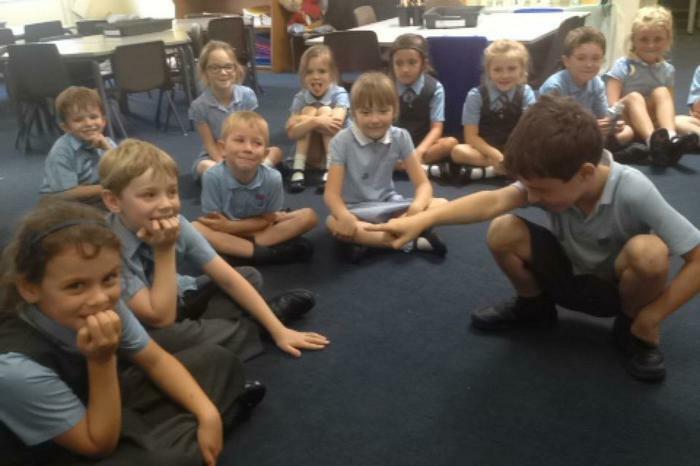 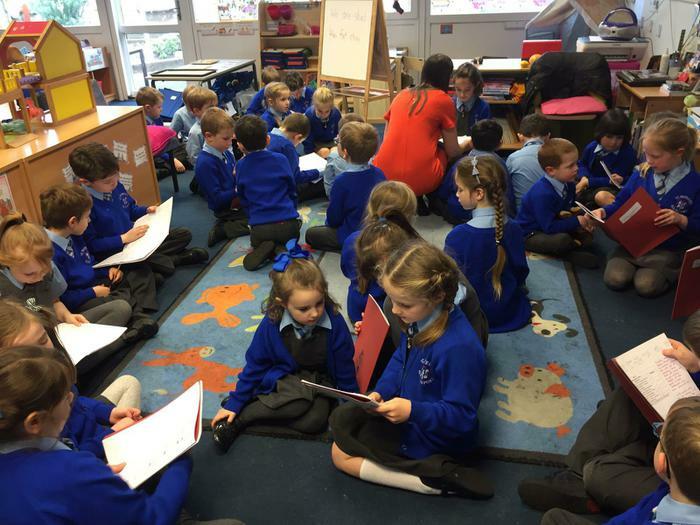 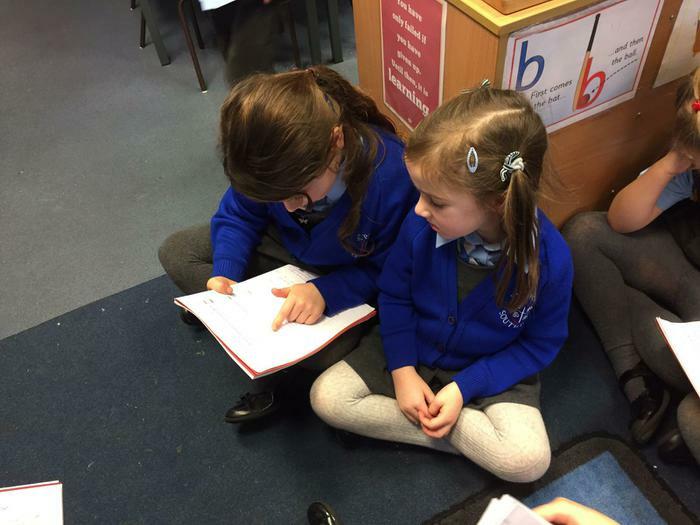 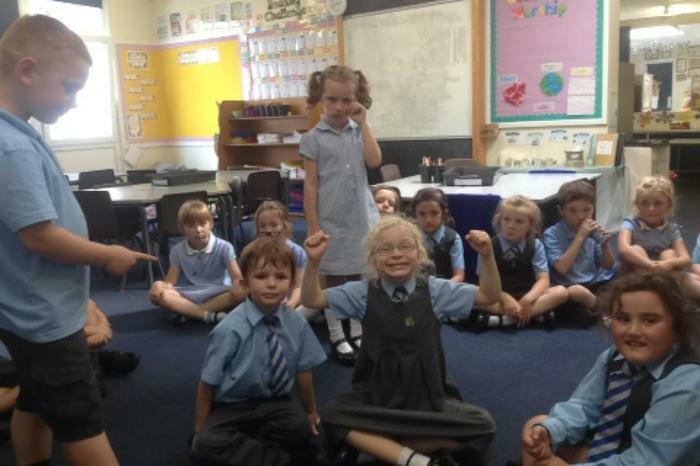 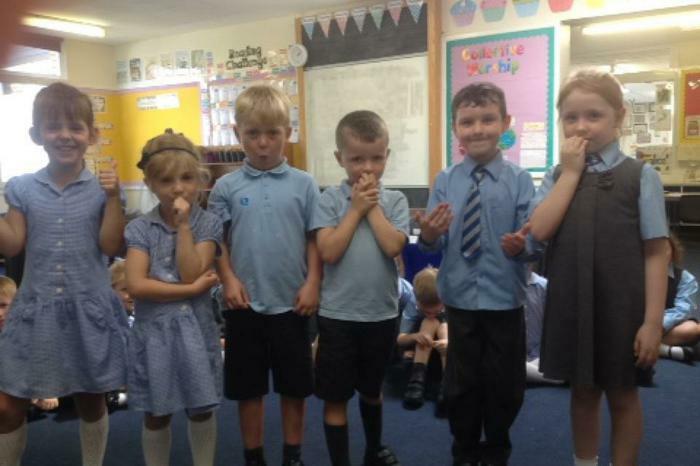 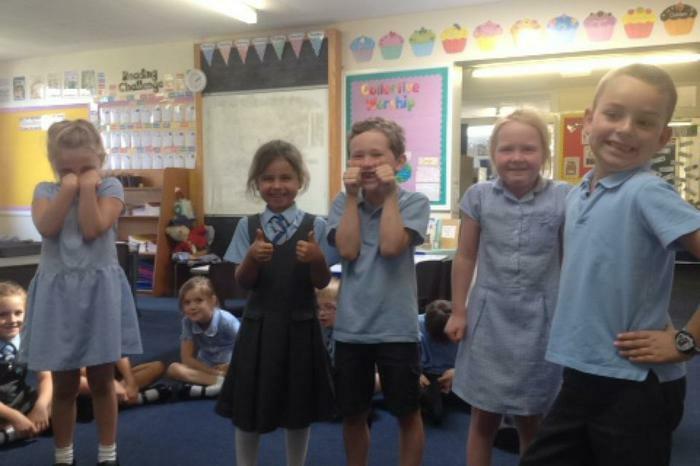 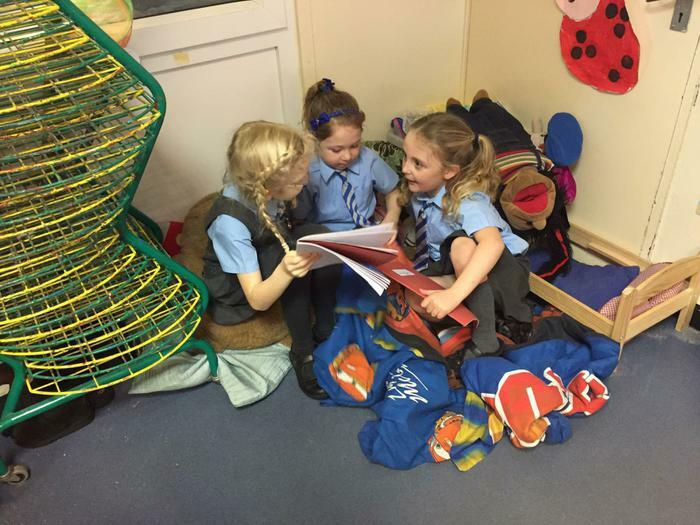 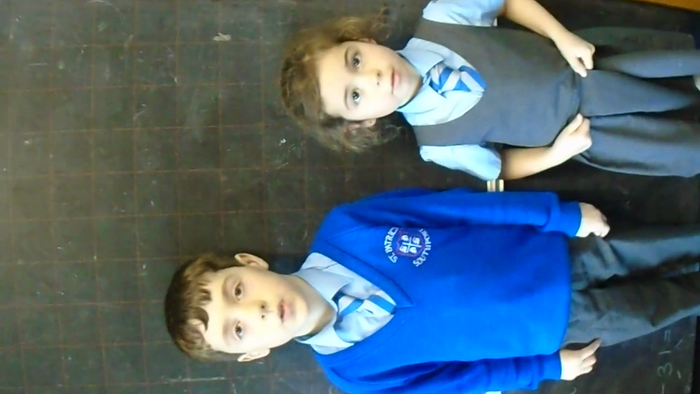 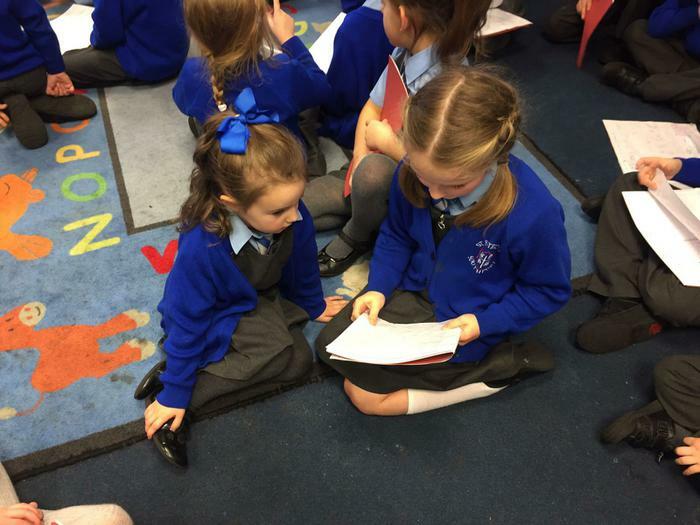 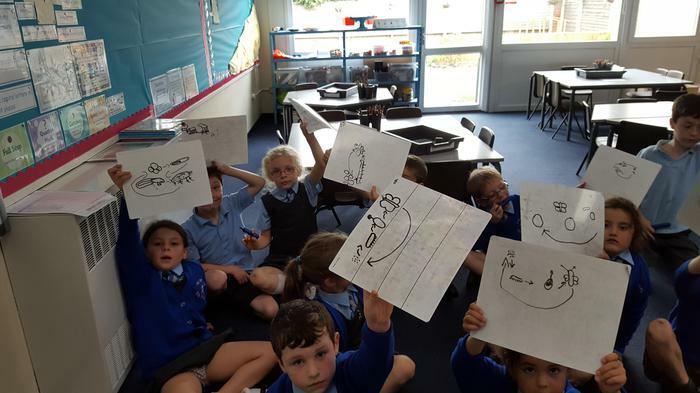 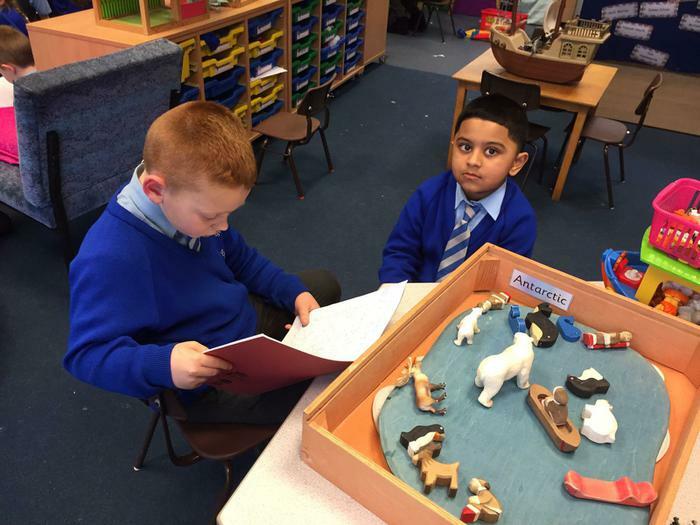 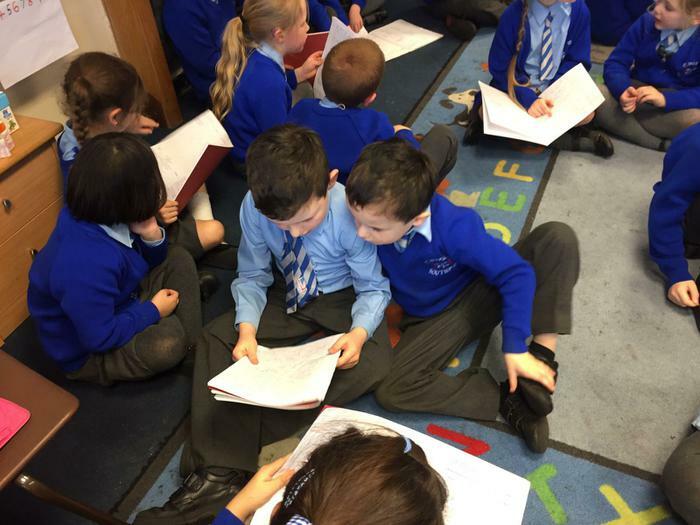 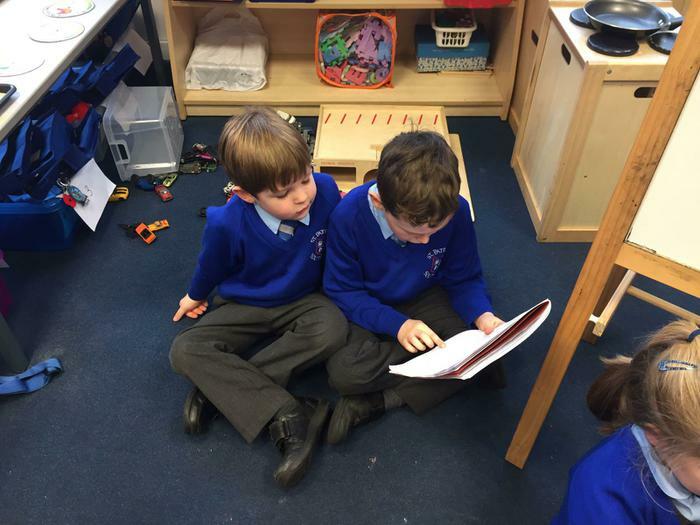 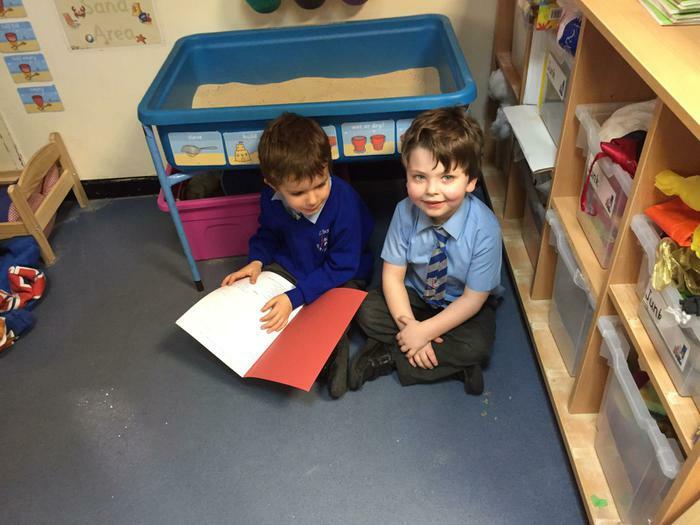 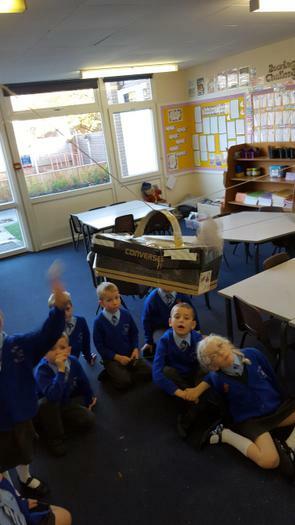 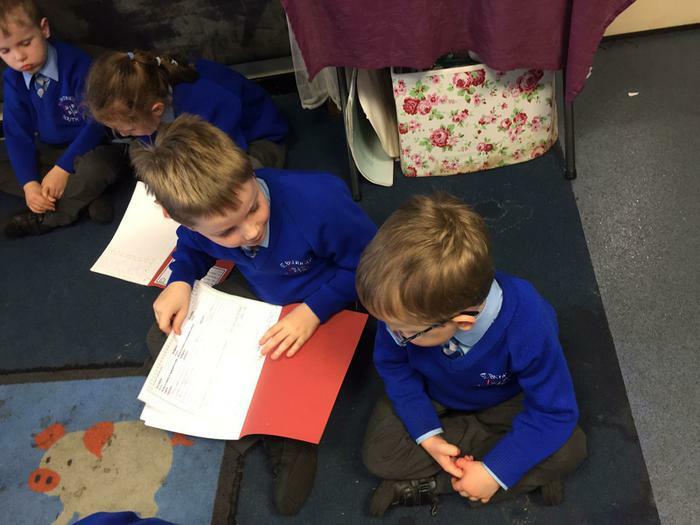 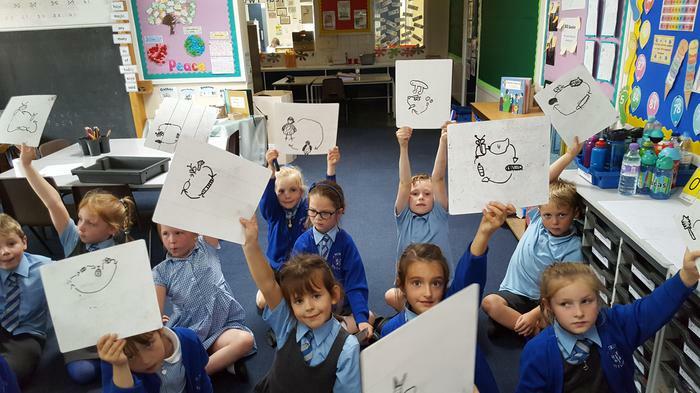 We had so much fun sharing our work with Reception. 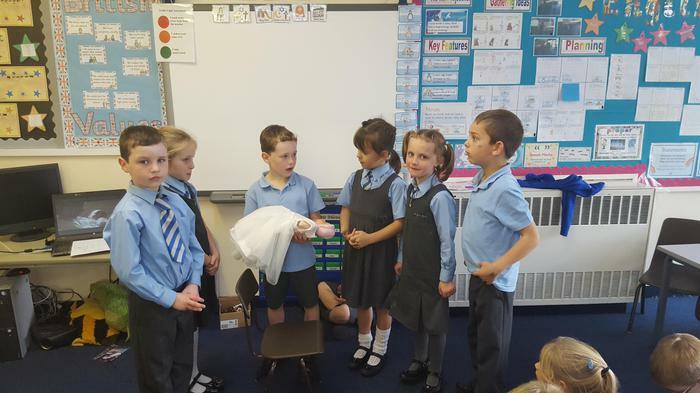 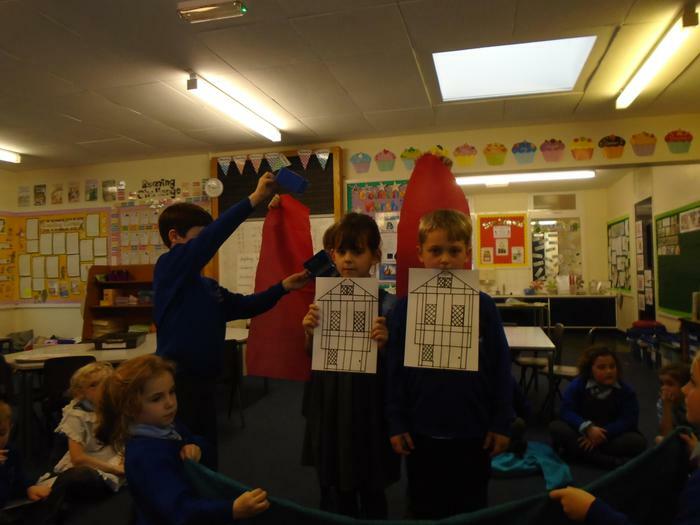 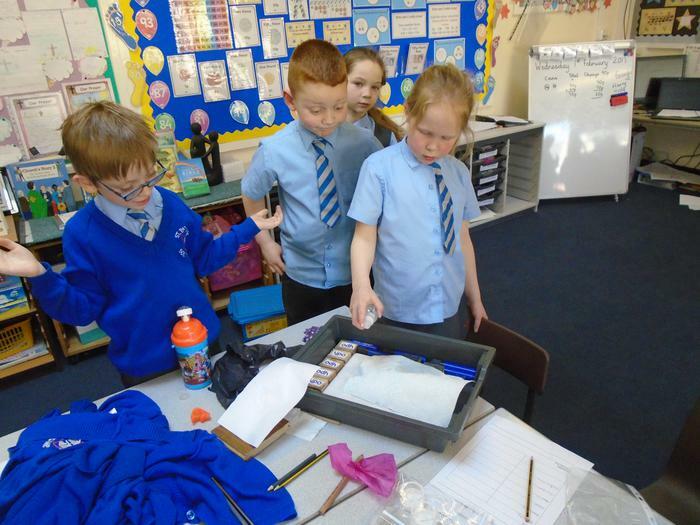 We have been investigating which materials would be most suitable for Topsy and Tim's leaking roof. 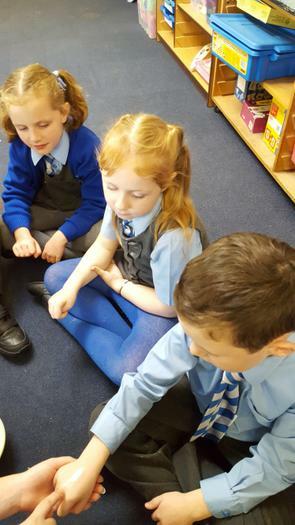 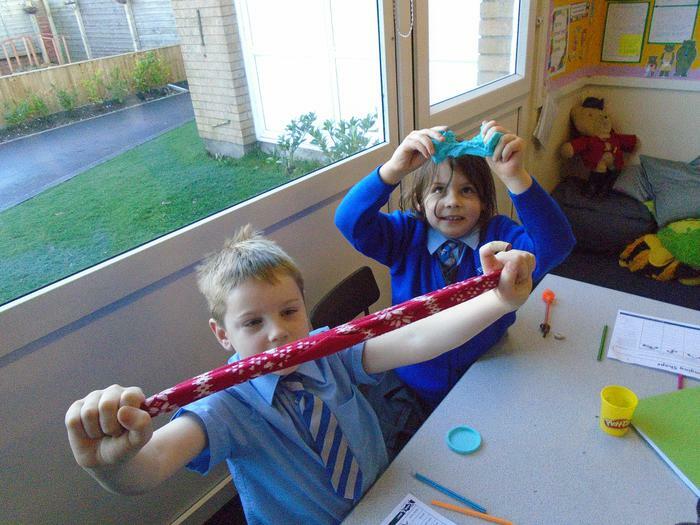 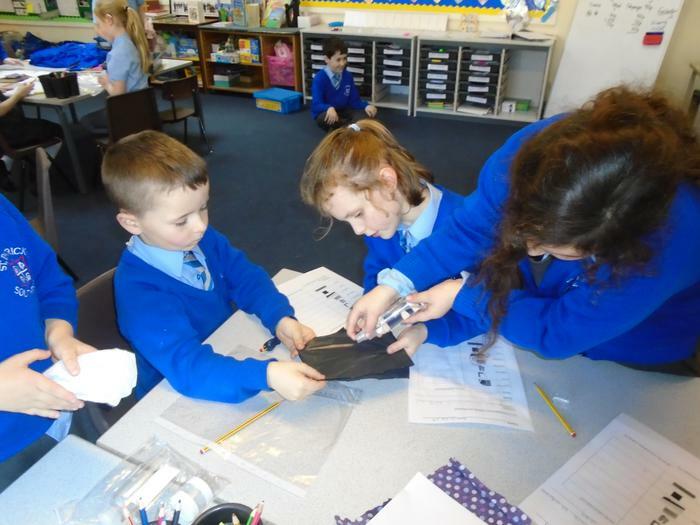 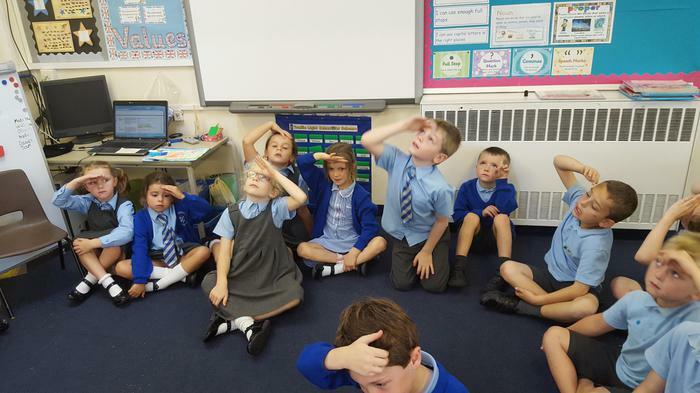 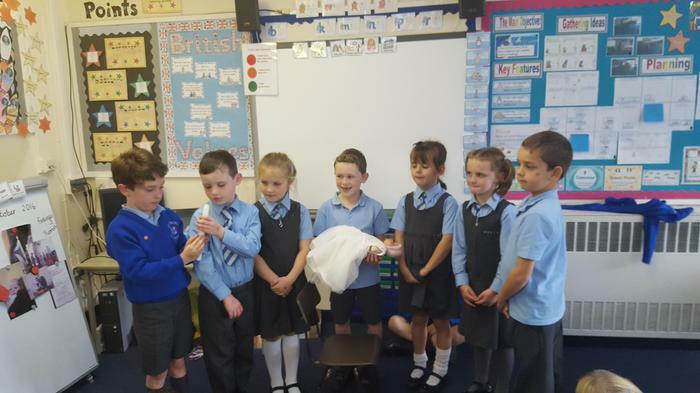 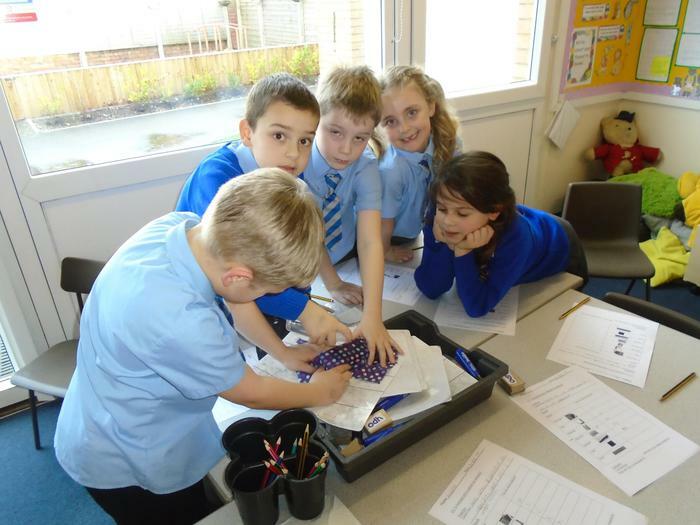 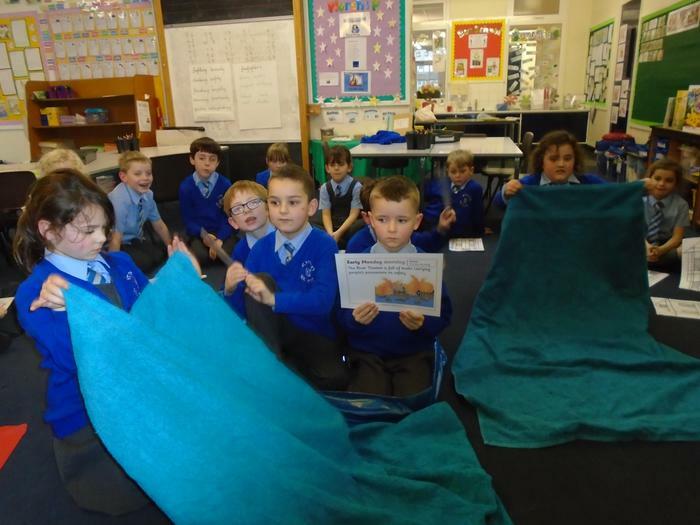 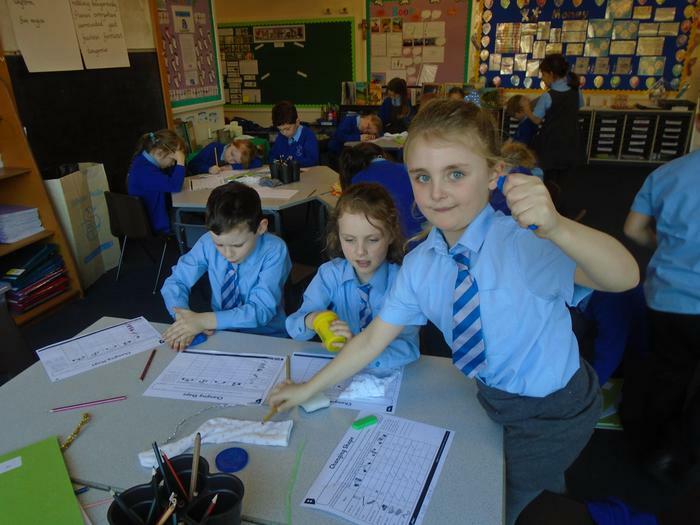 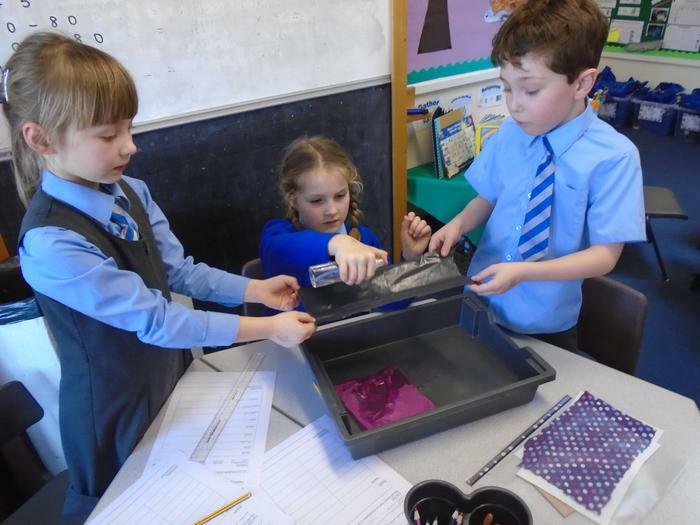 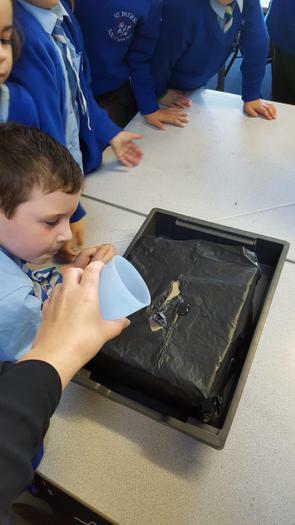 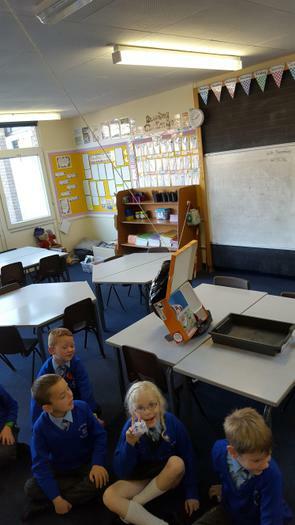 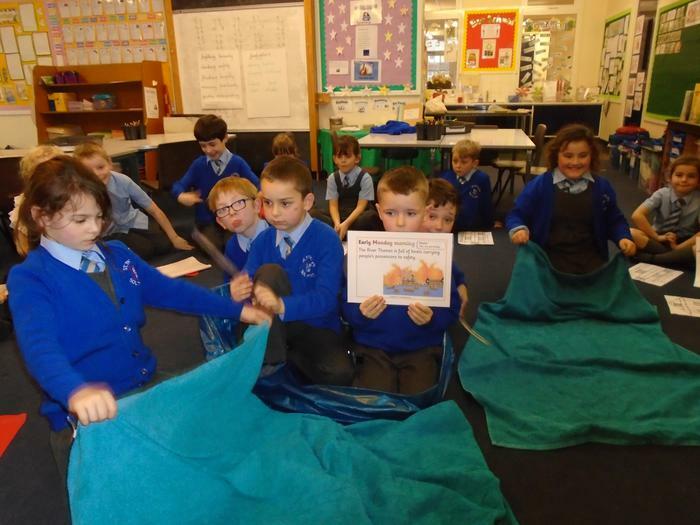 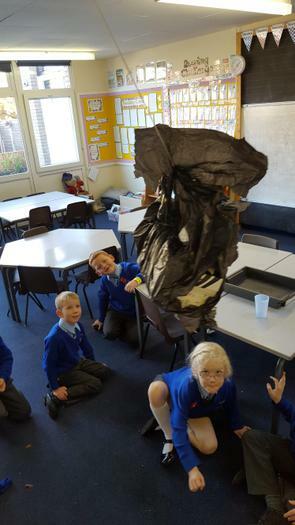 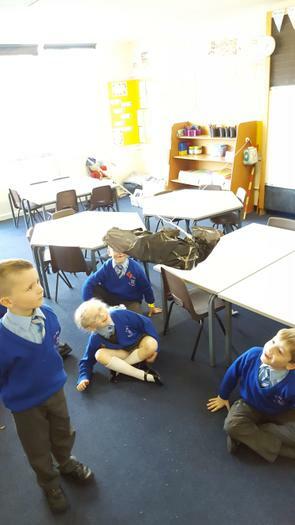 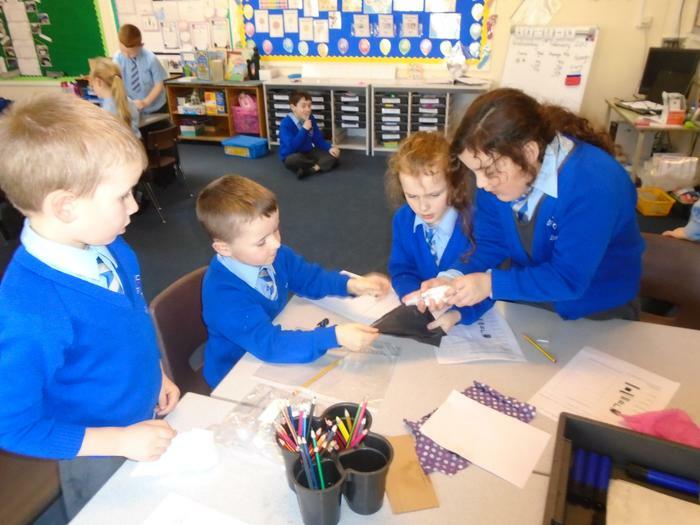 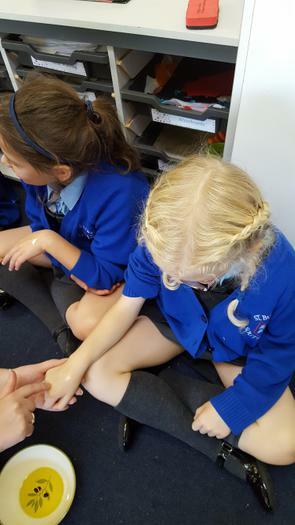 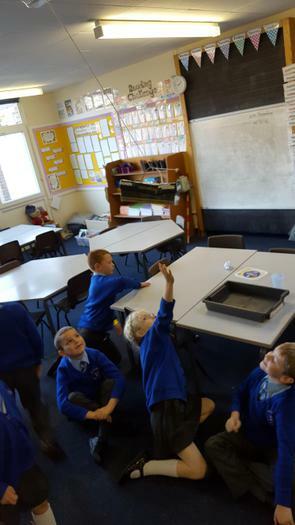 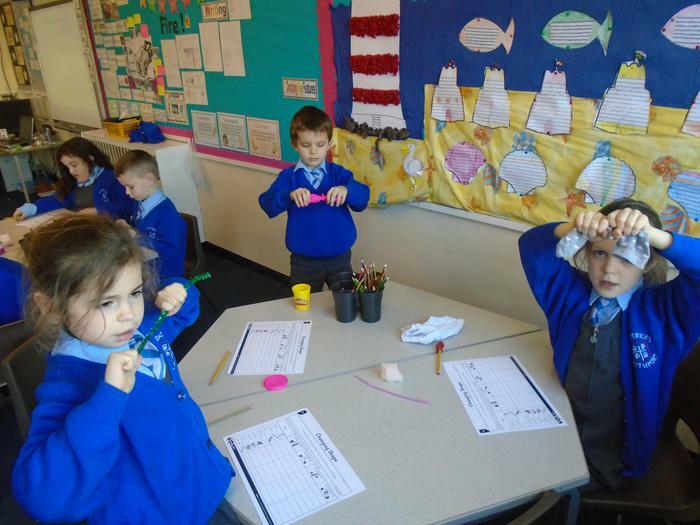 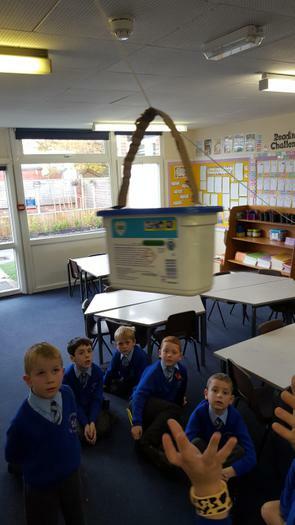 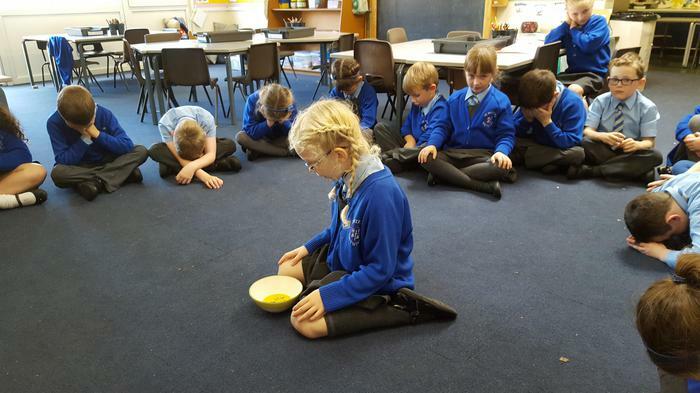 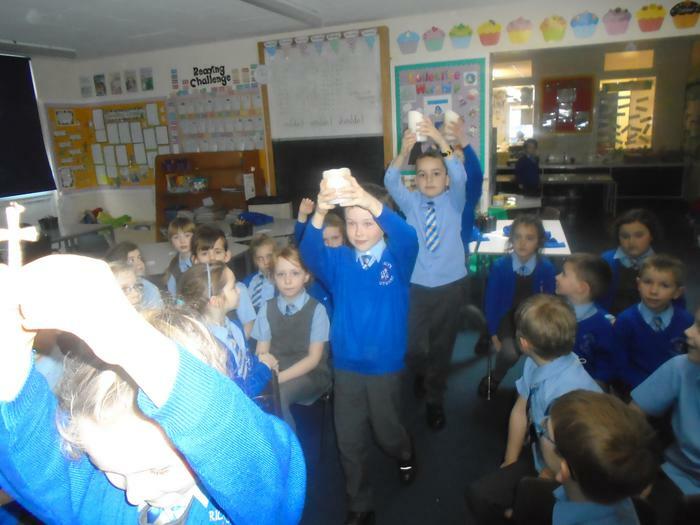 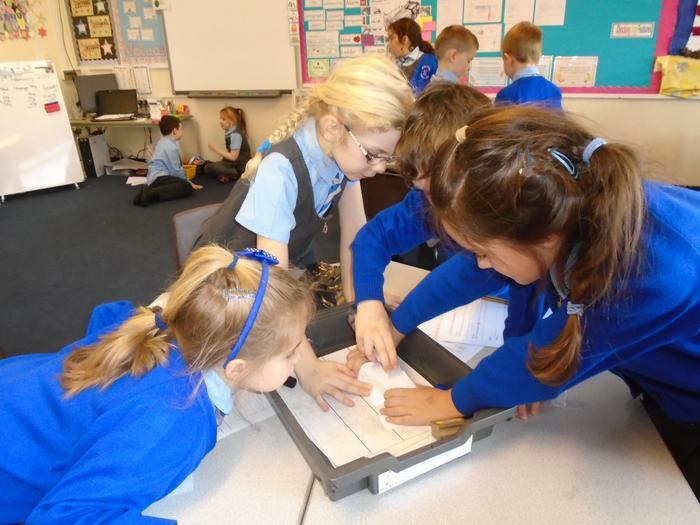 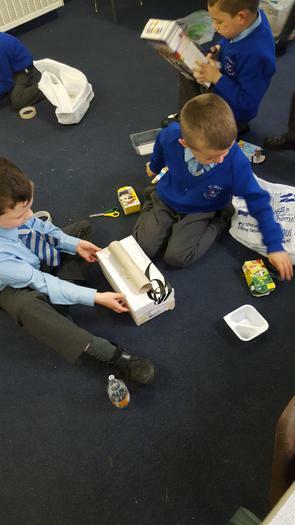 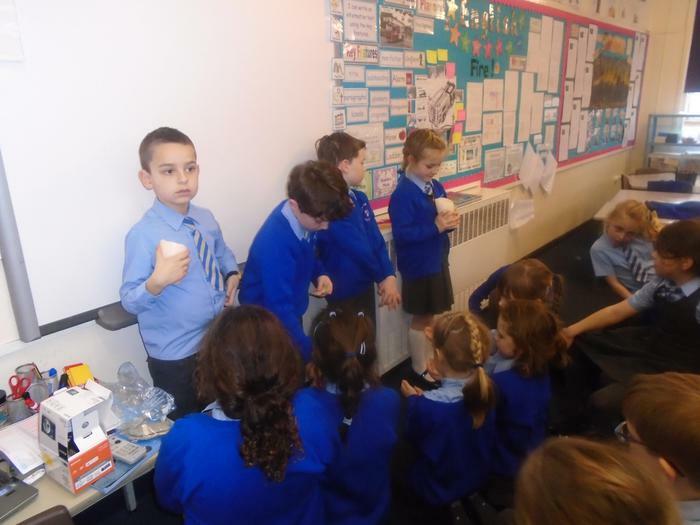 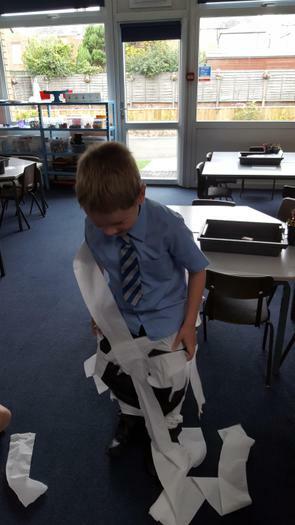 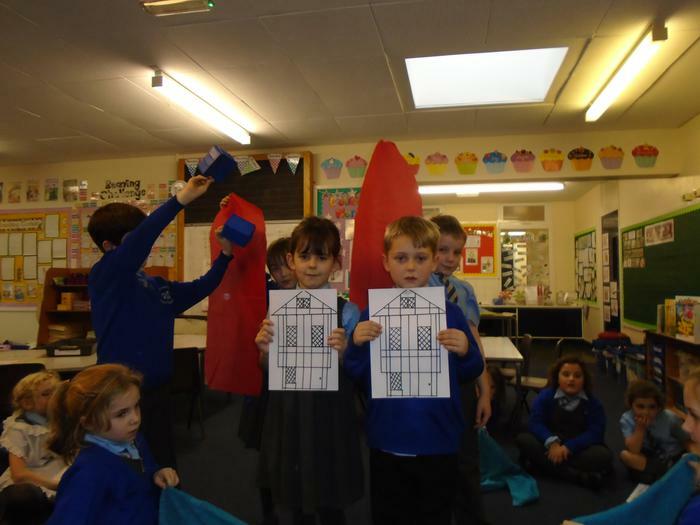 We have been investigating which materials would be suitable for Topsy and Tim's leaking roof.